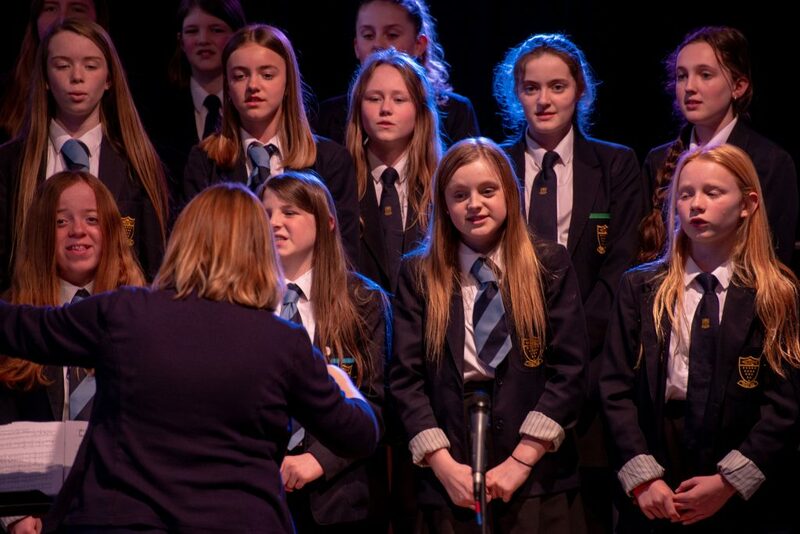 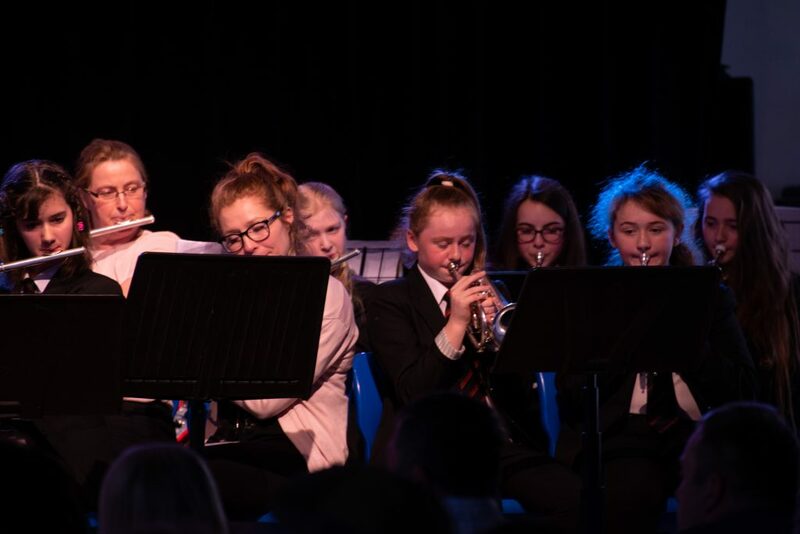 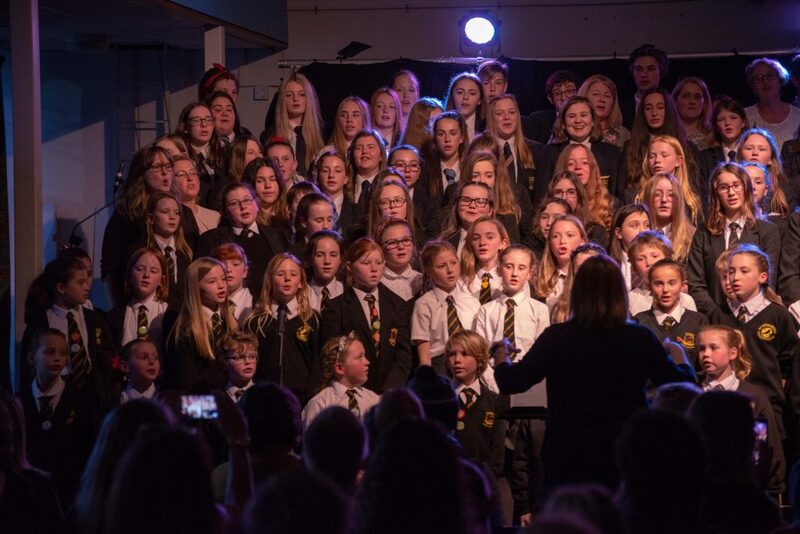 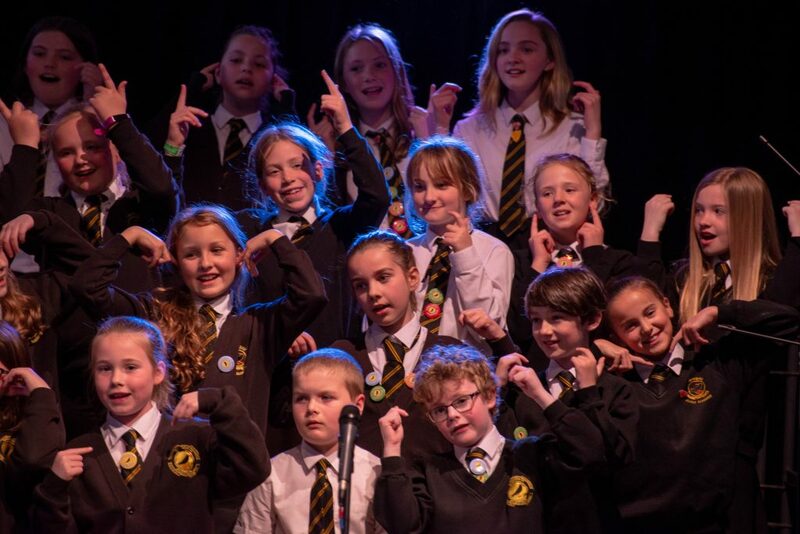 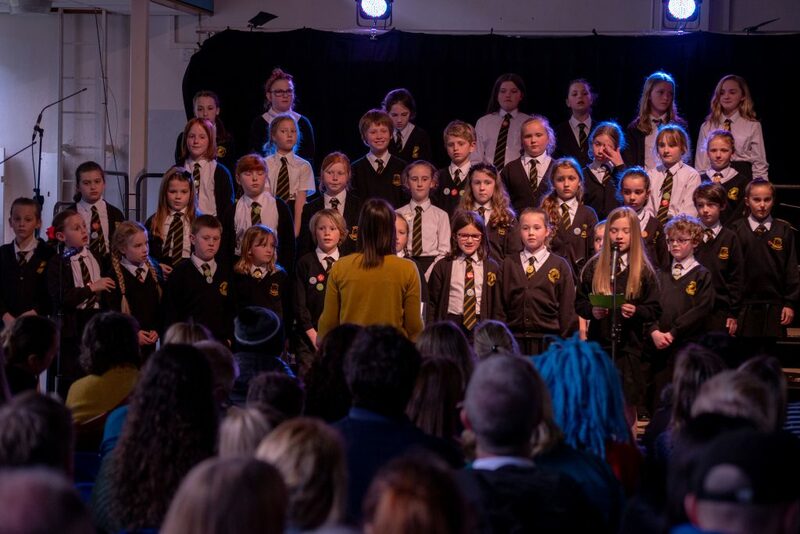 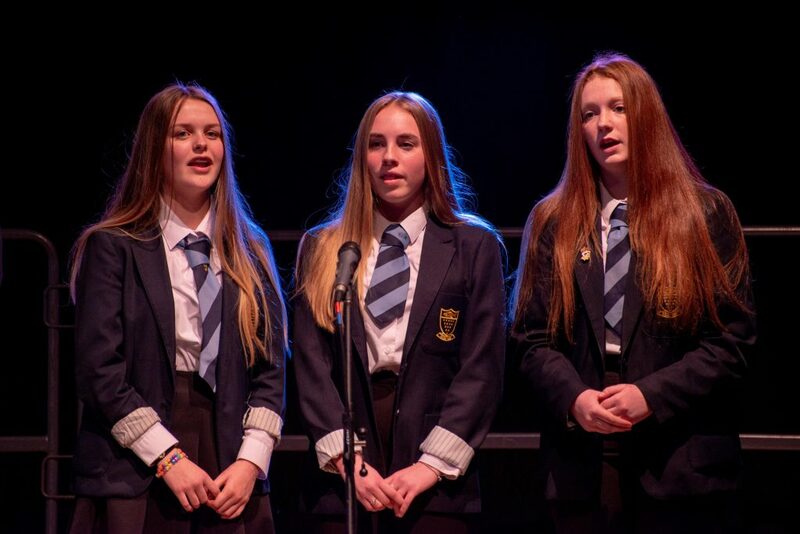 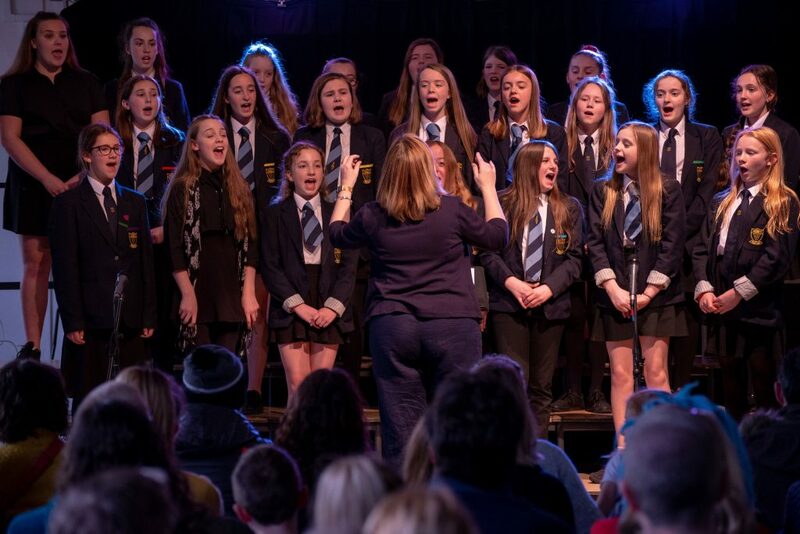 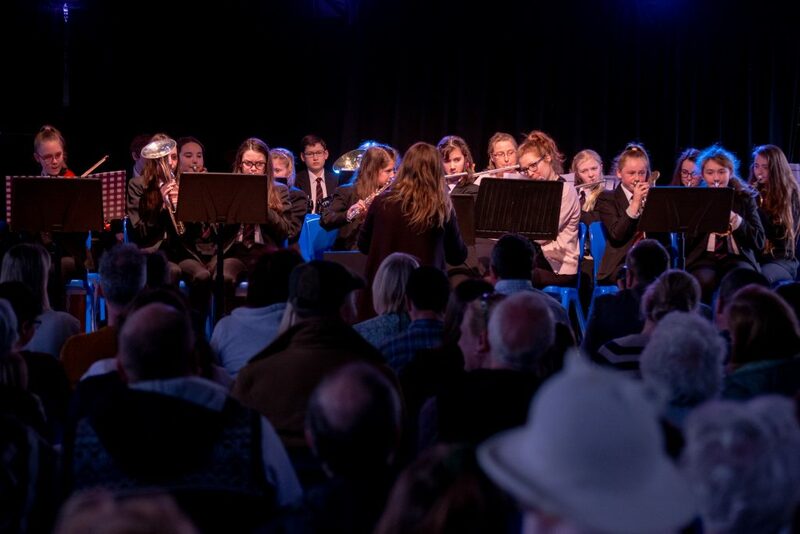 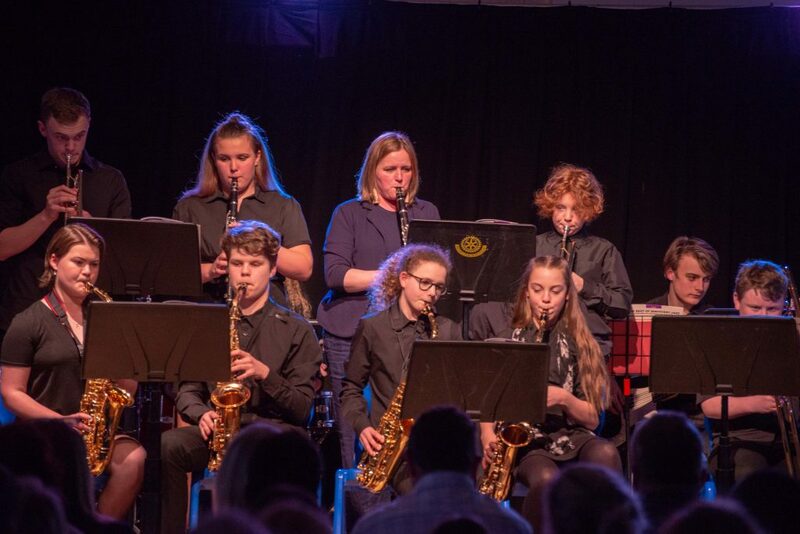 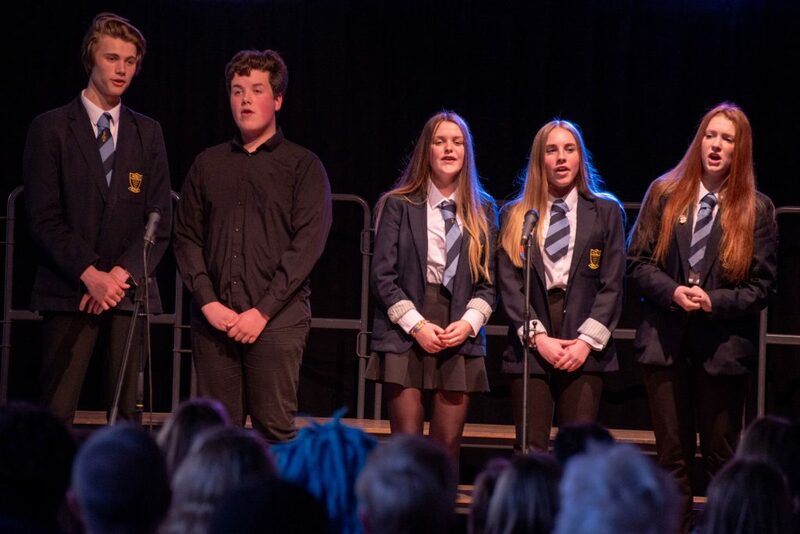 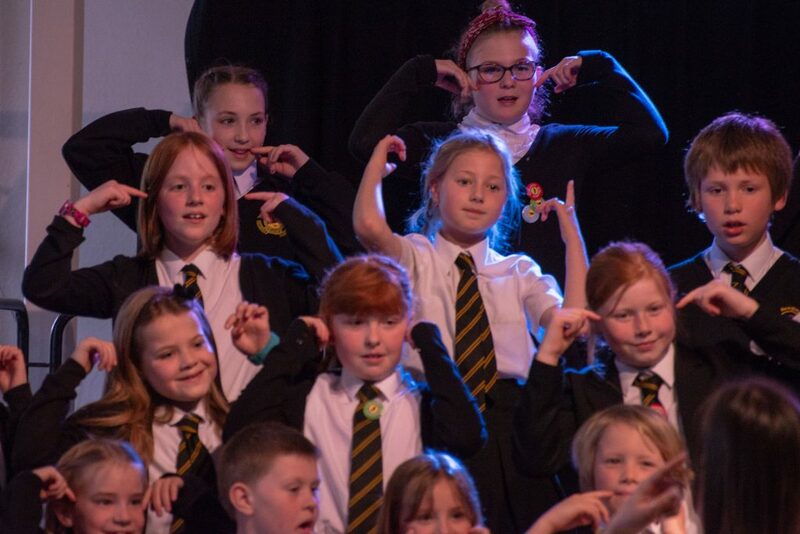 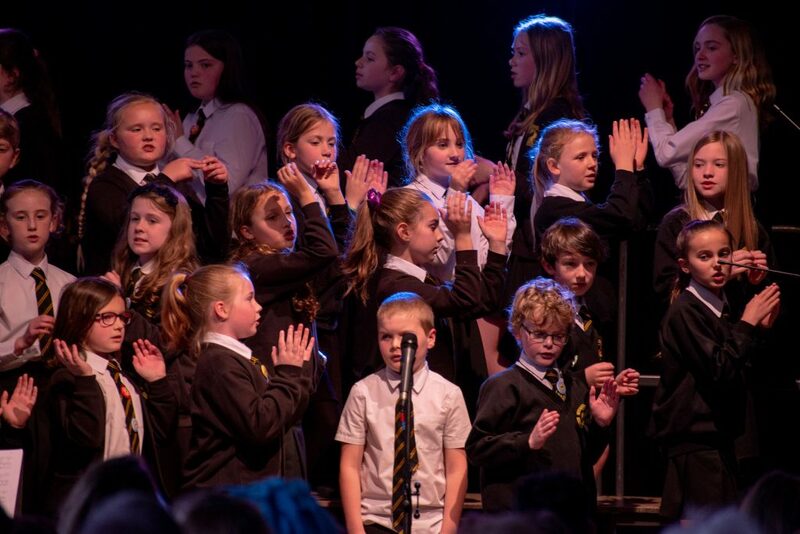 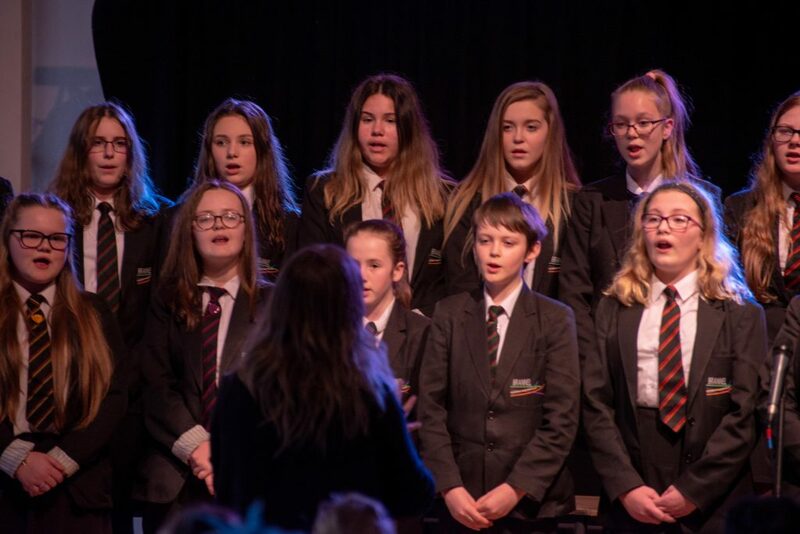 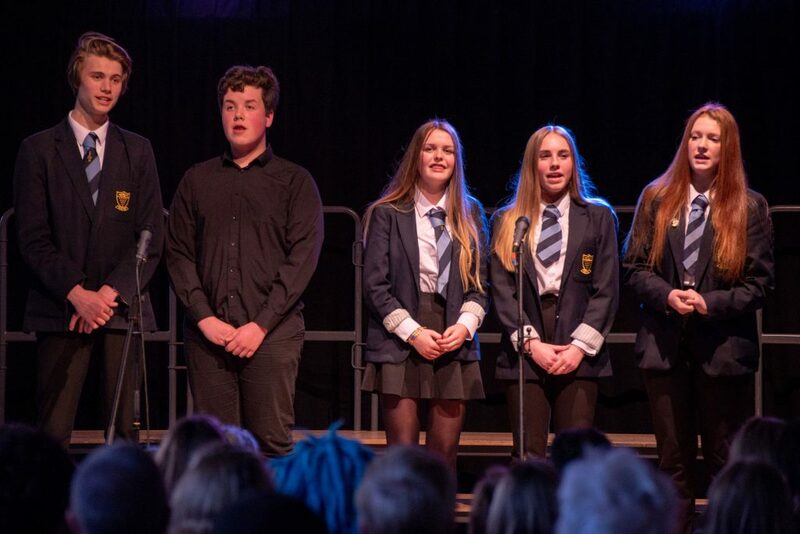 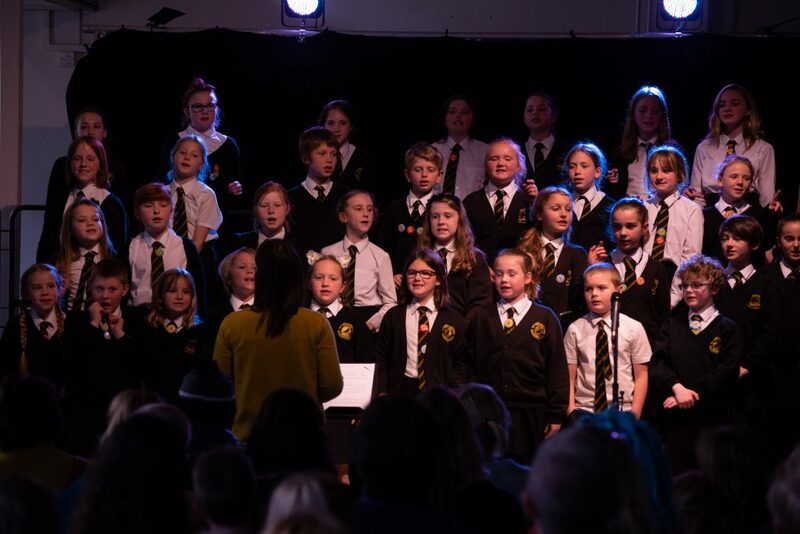 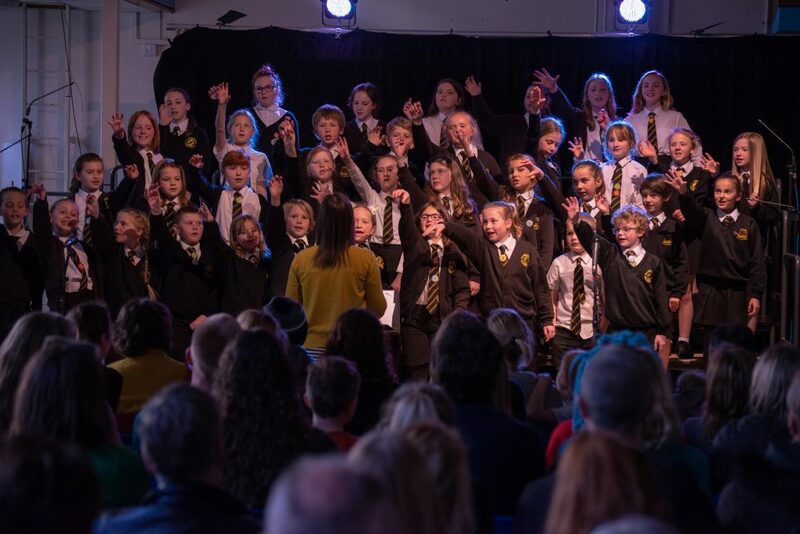 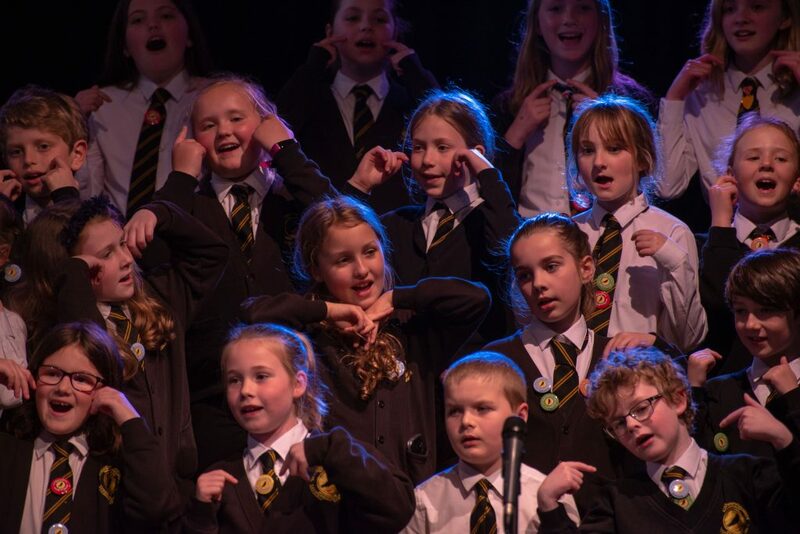 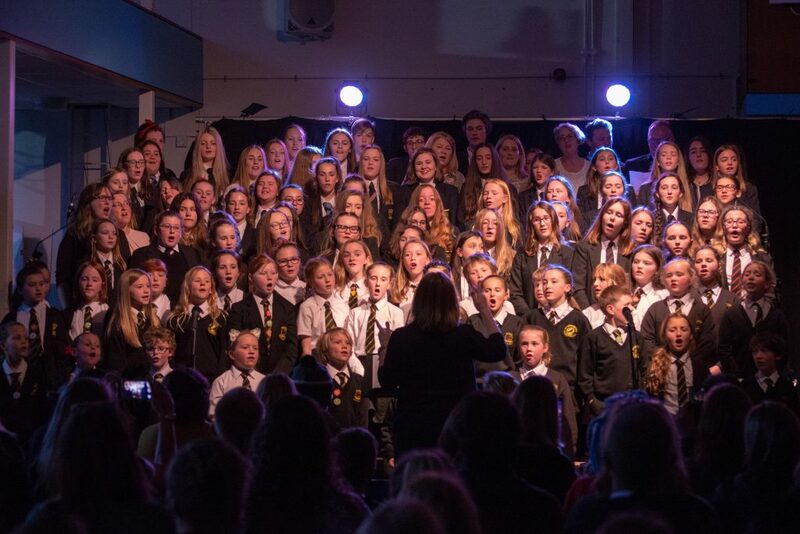 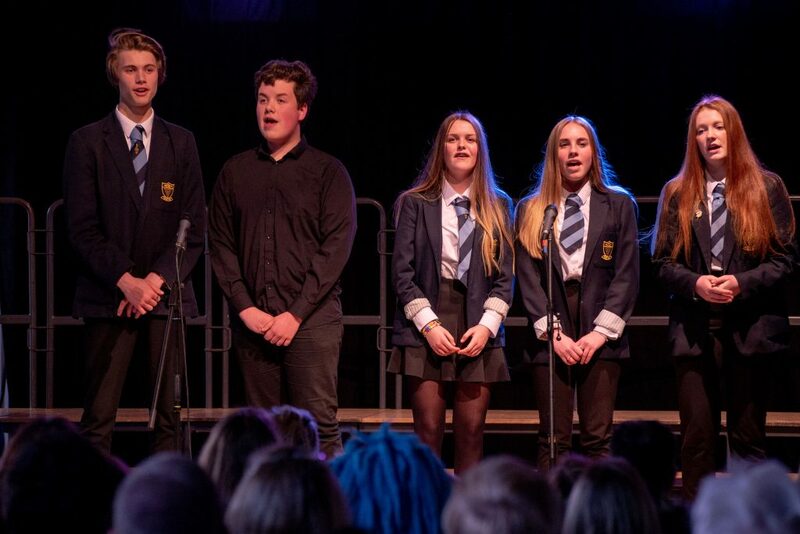 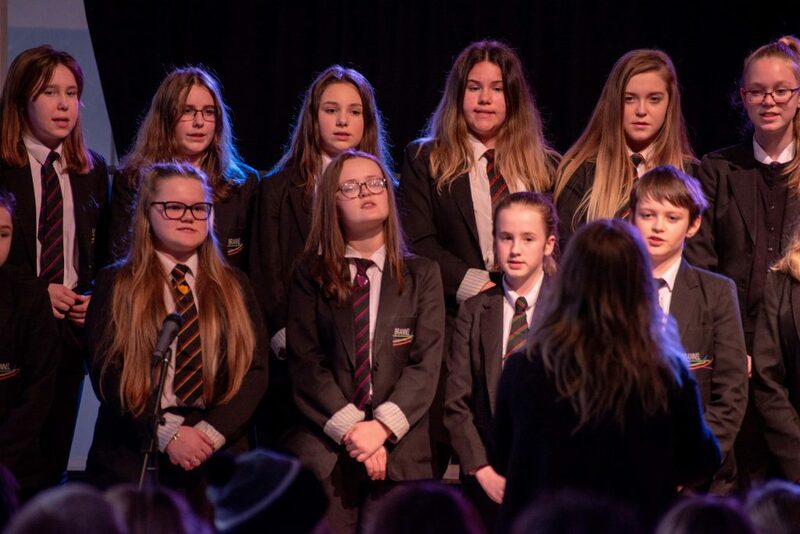 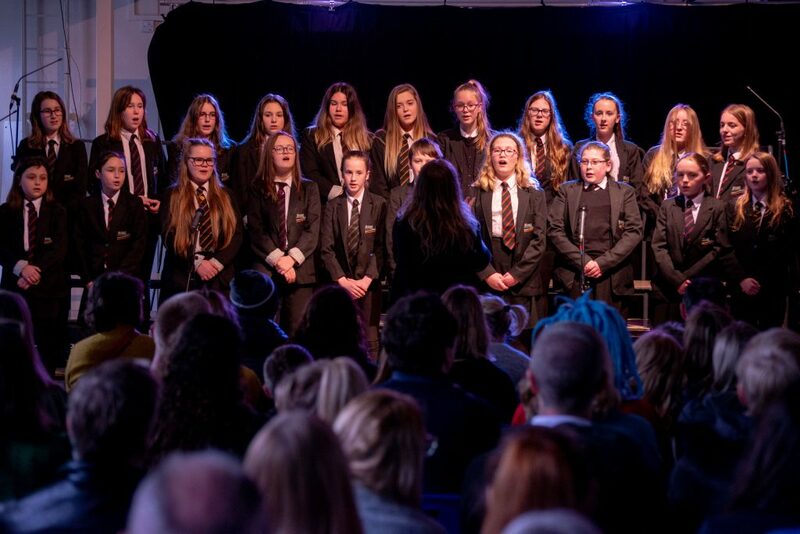 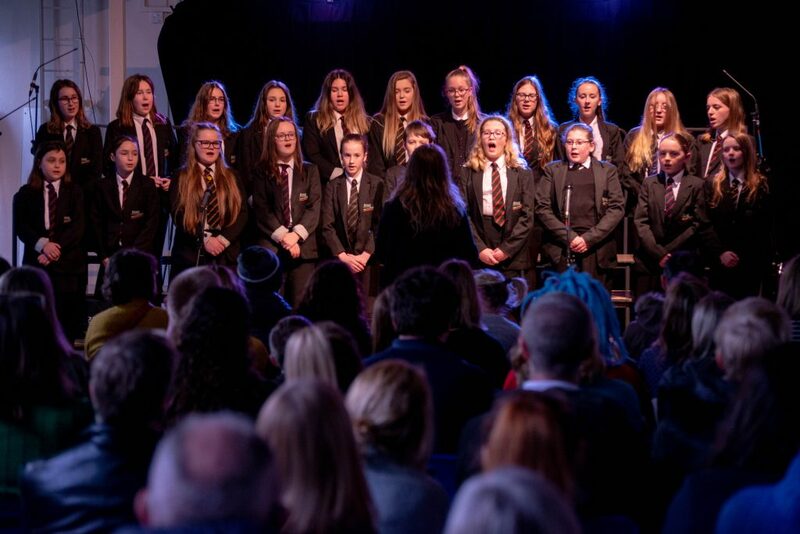 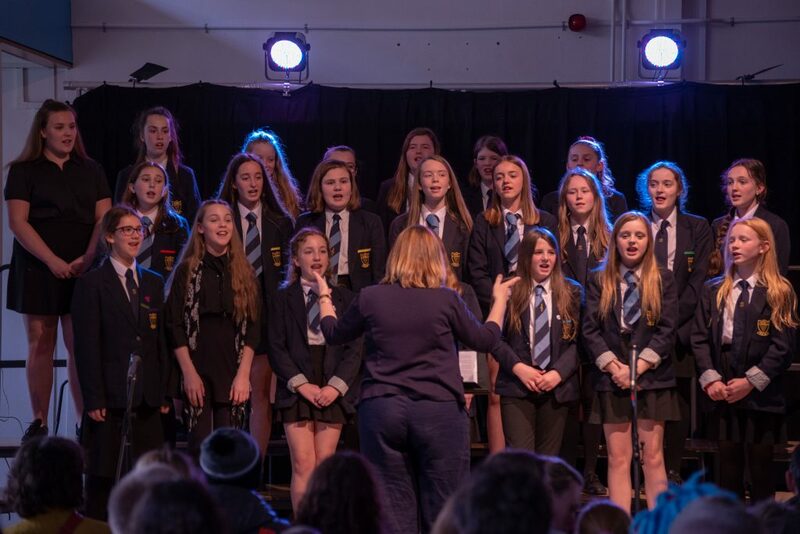 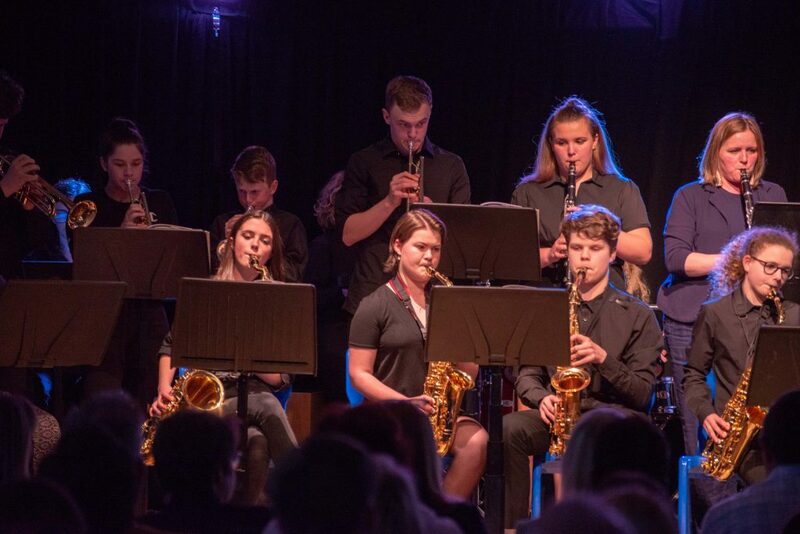 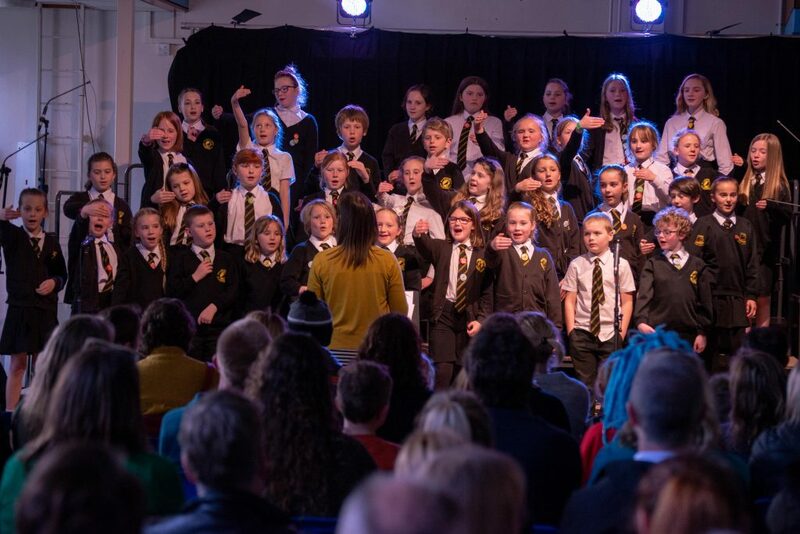 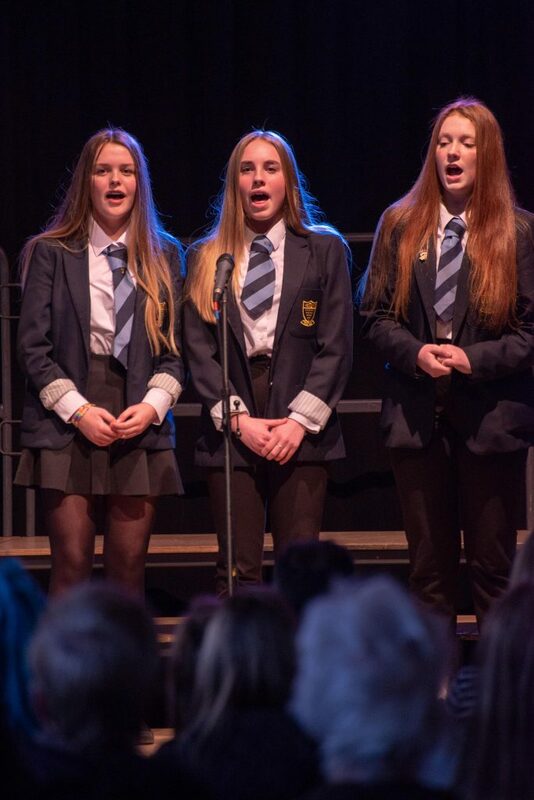 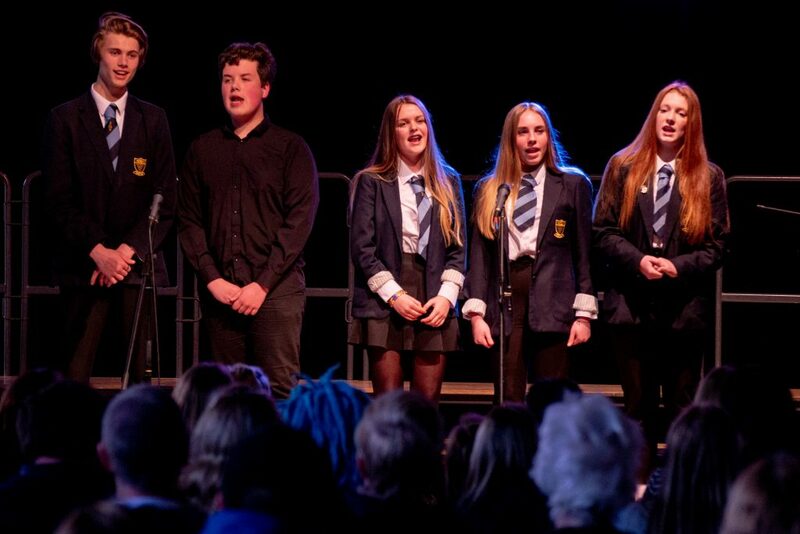 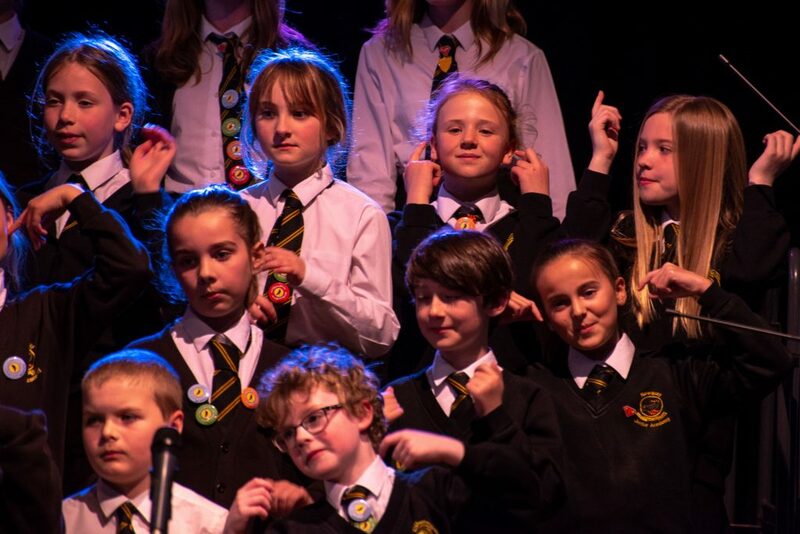 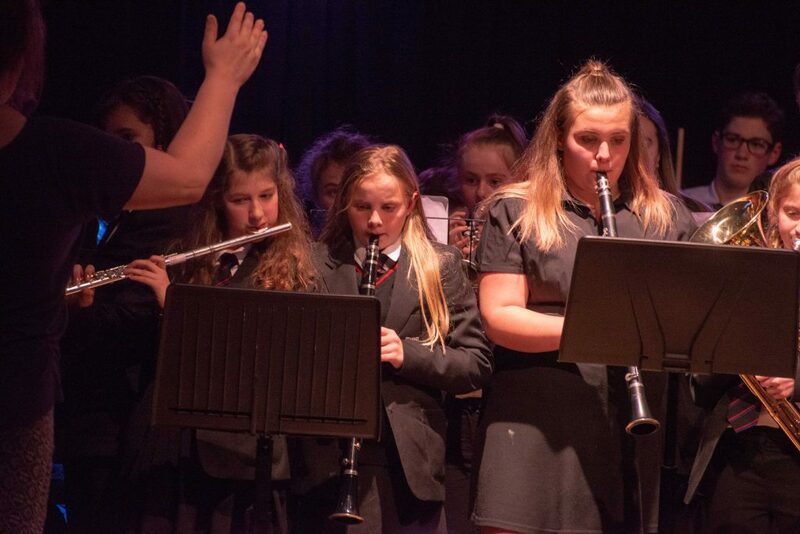 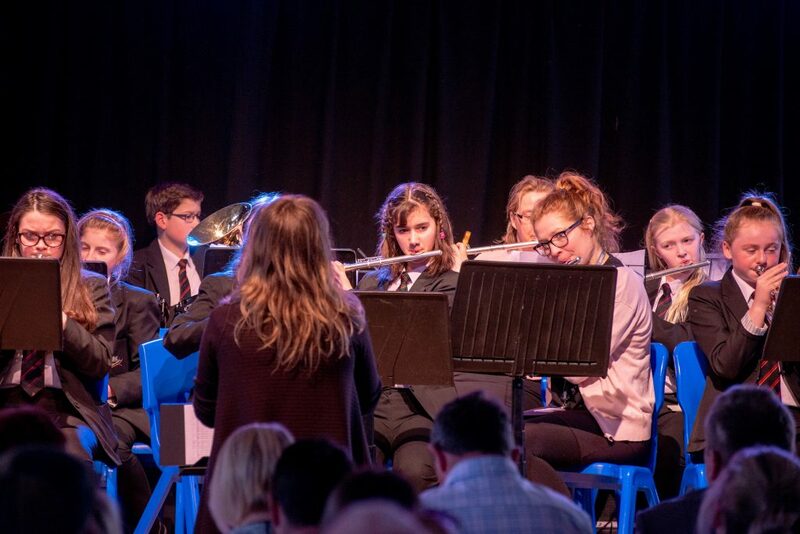 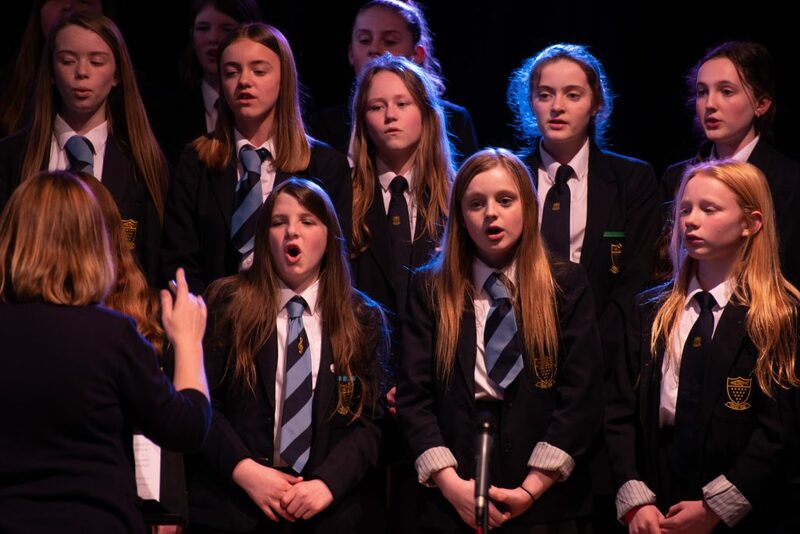 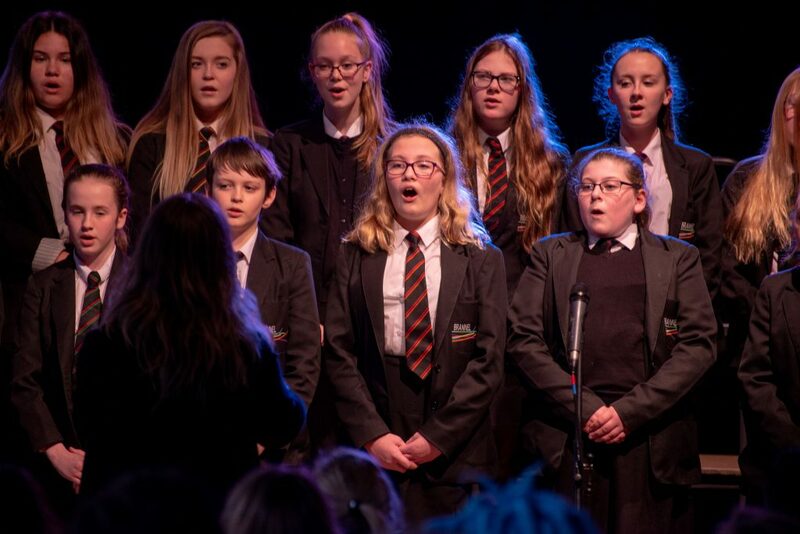 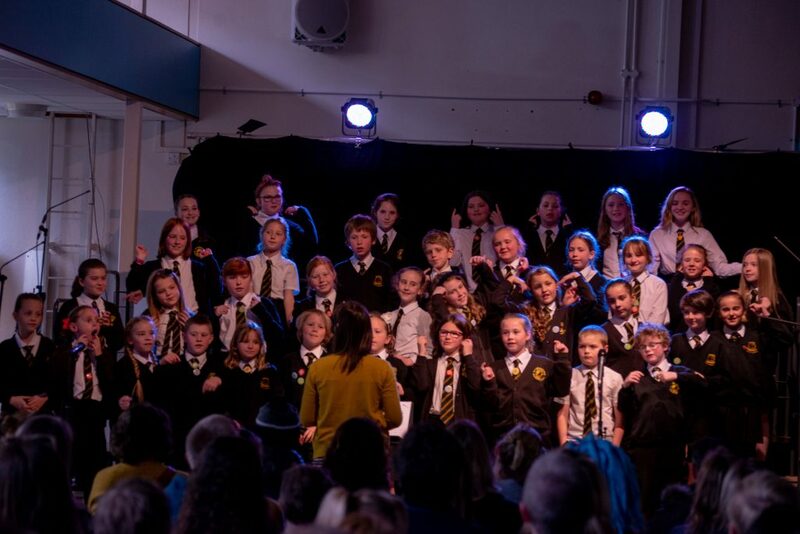 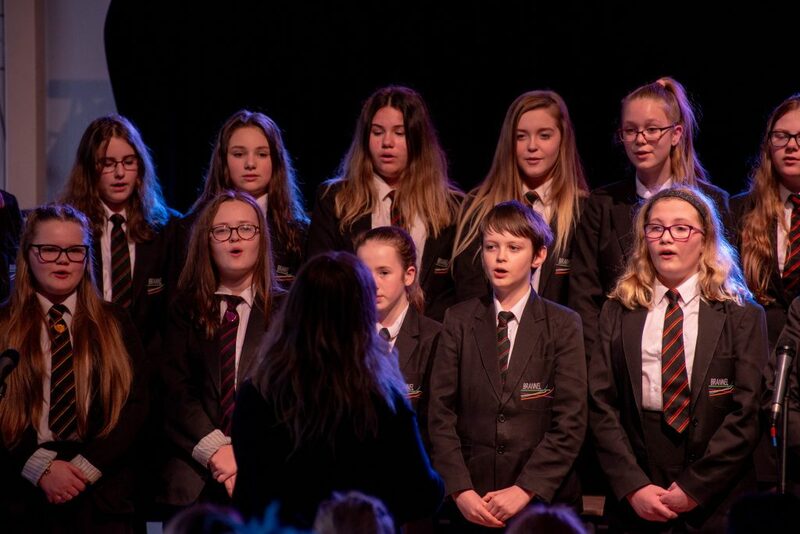 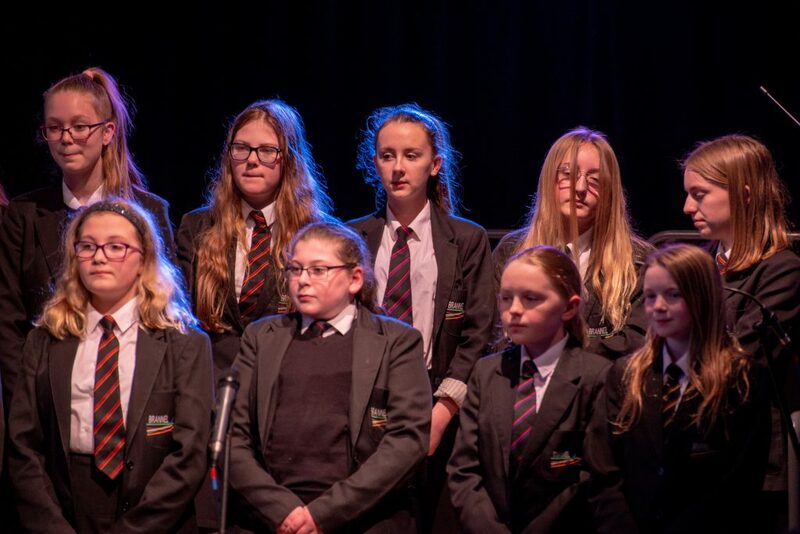 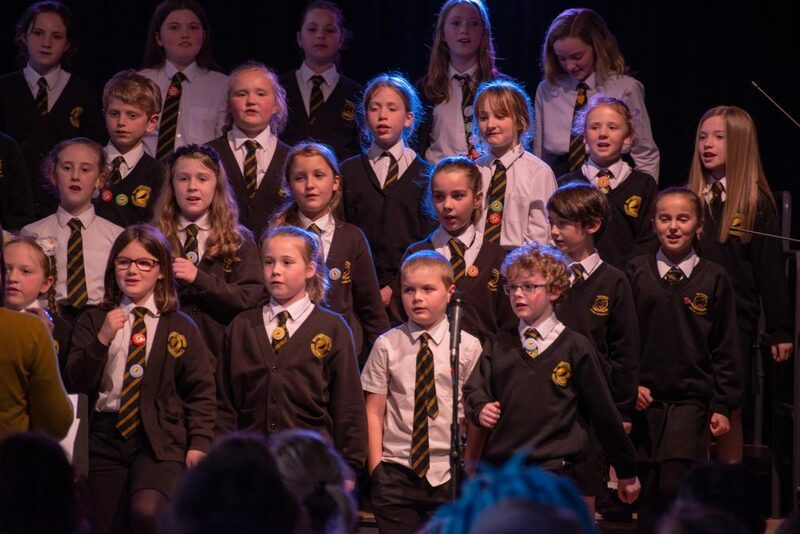 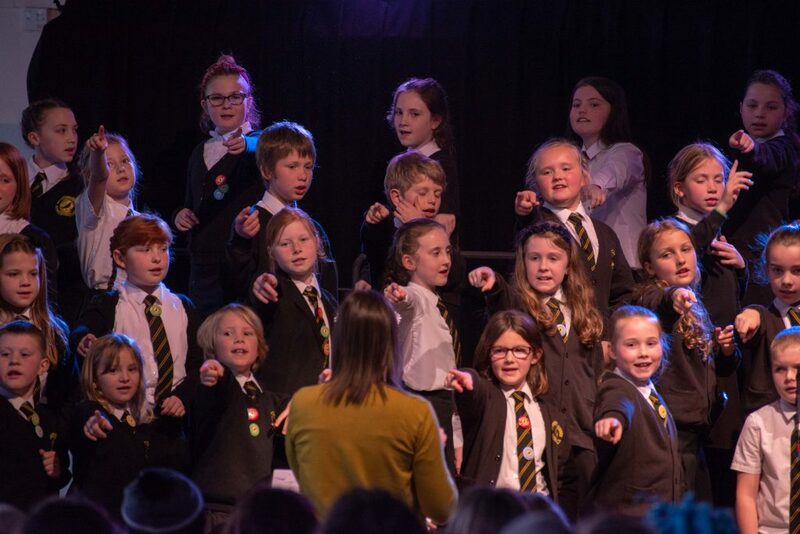 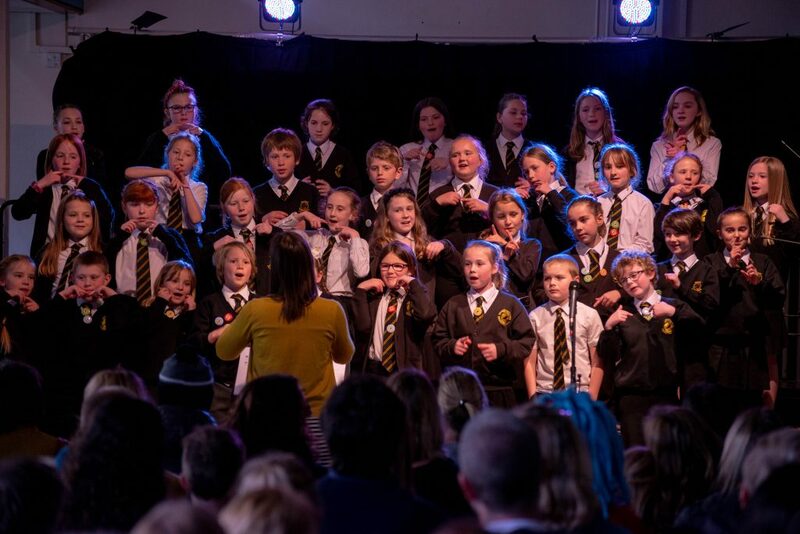 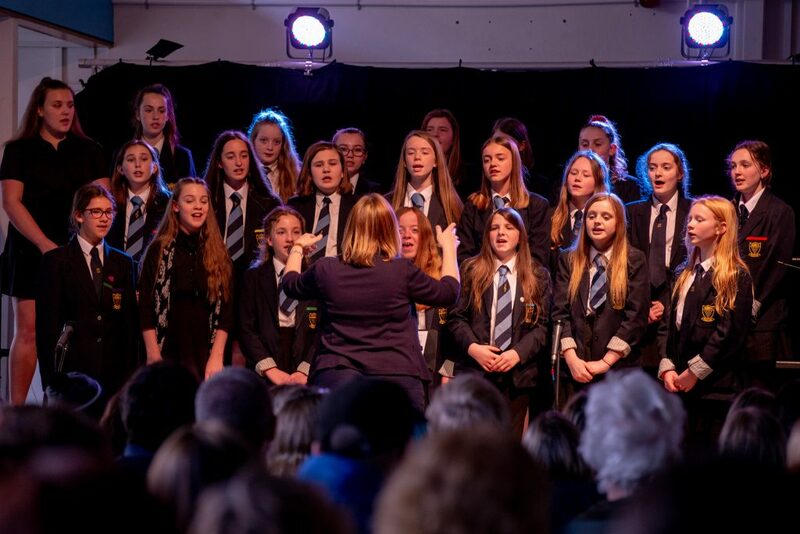 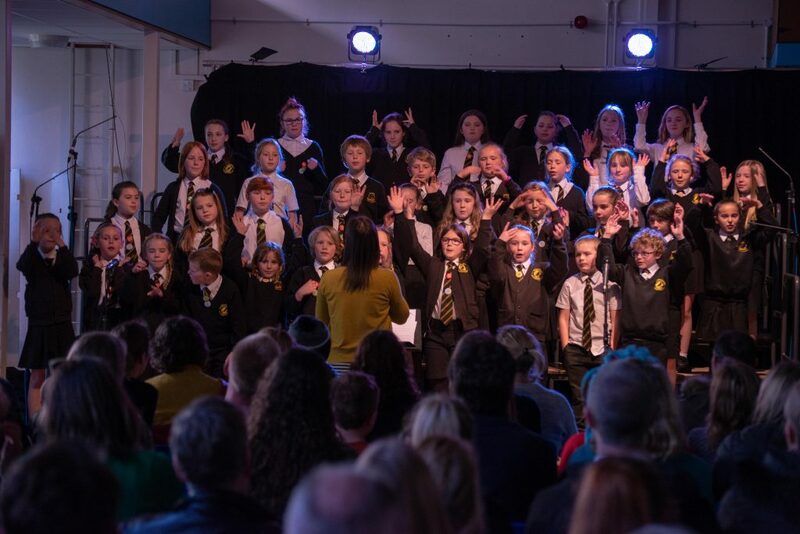 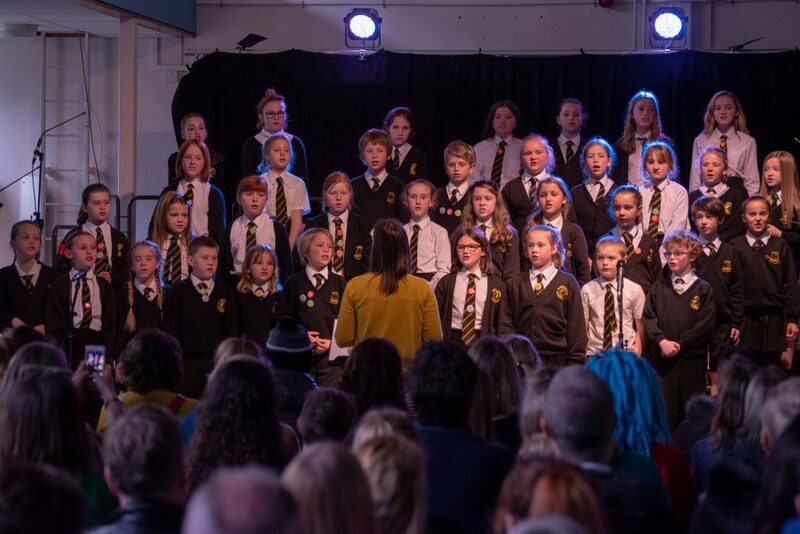 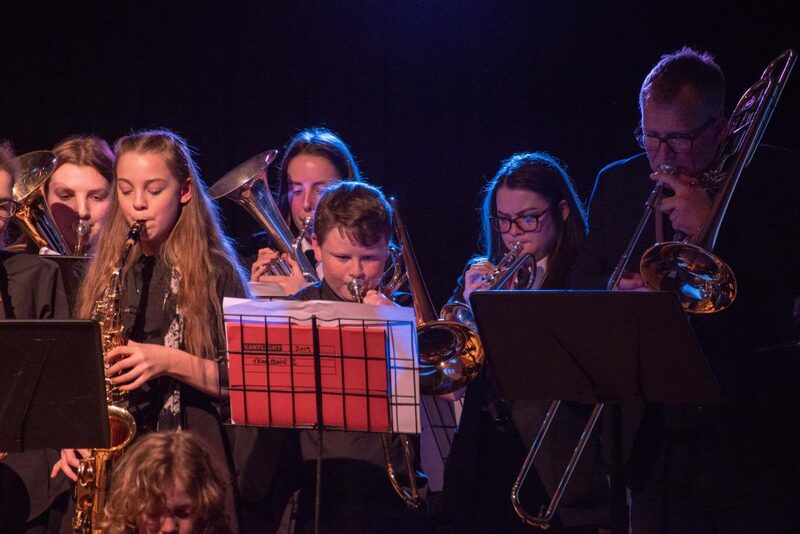 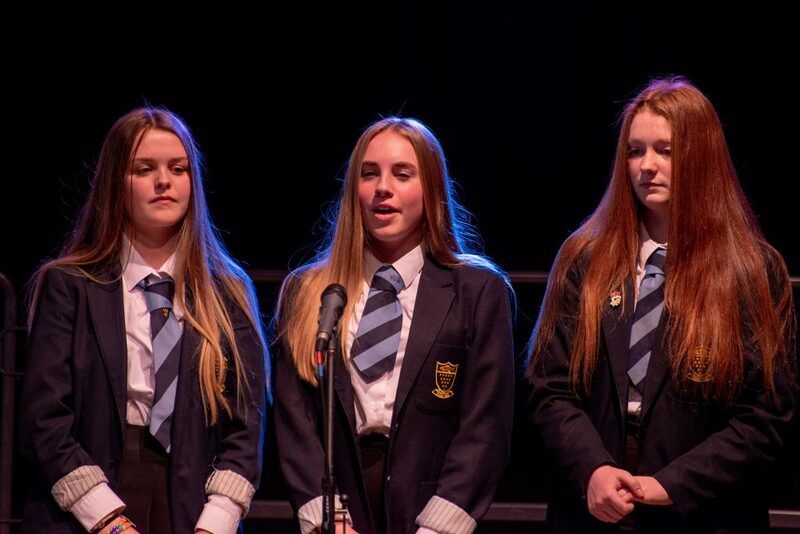 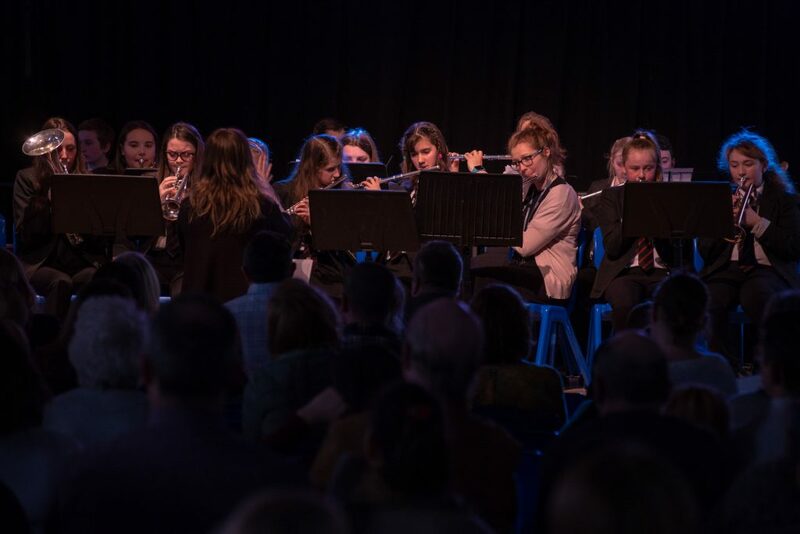 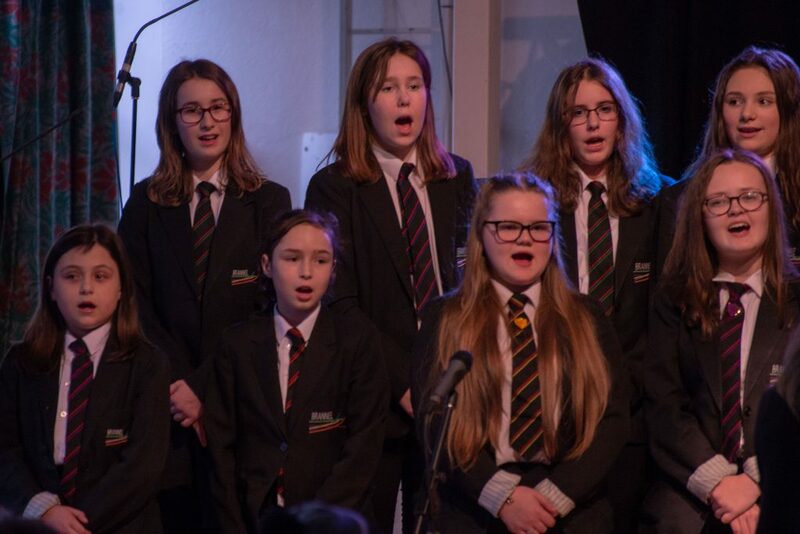 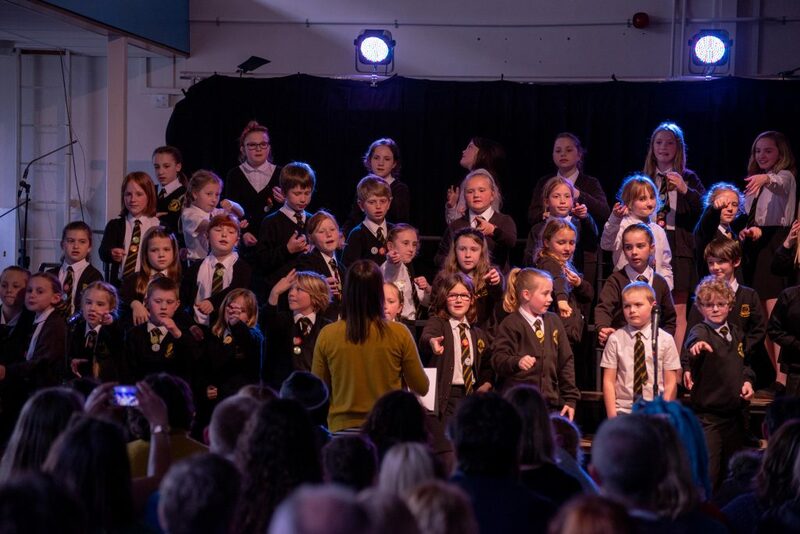 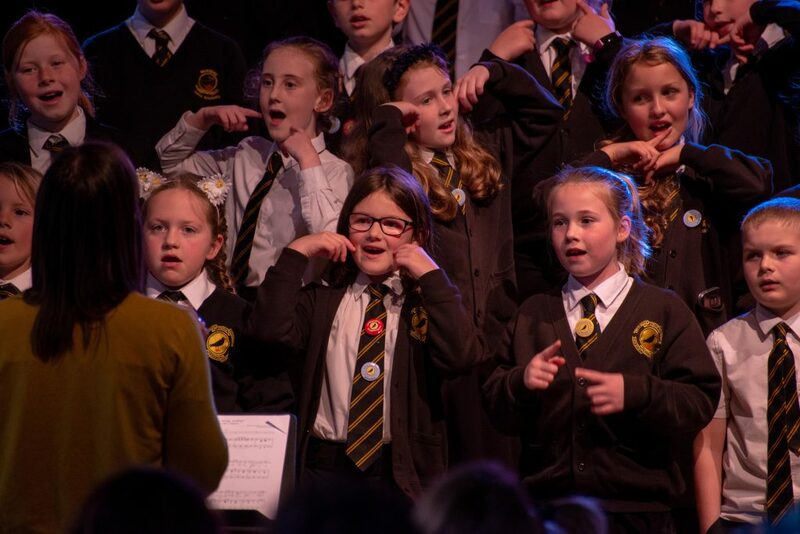 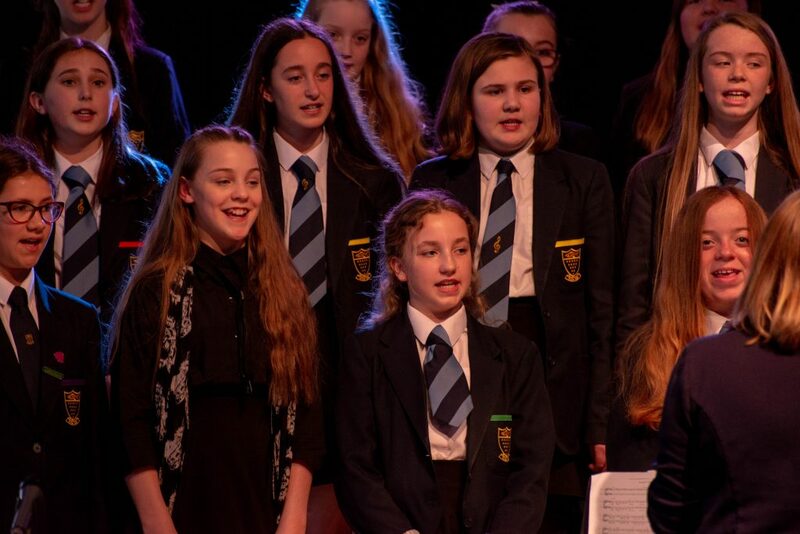 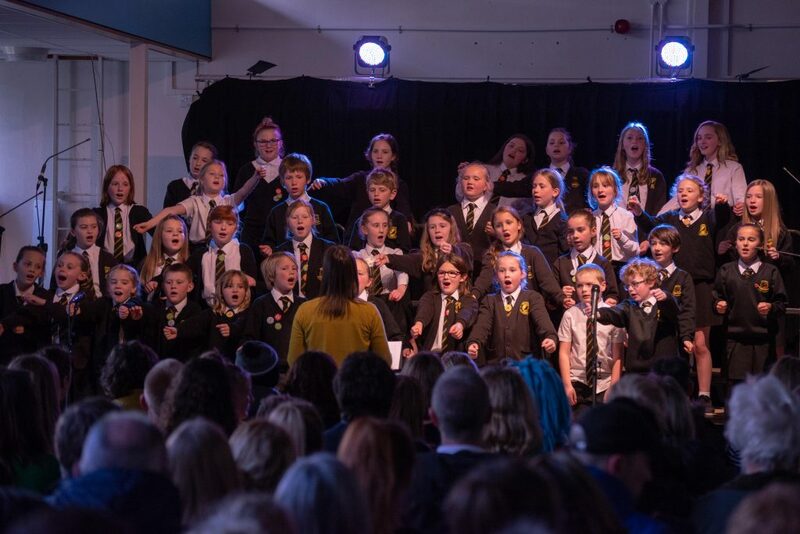 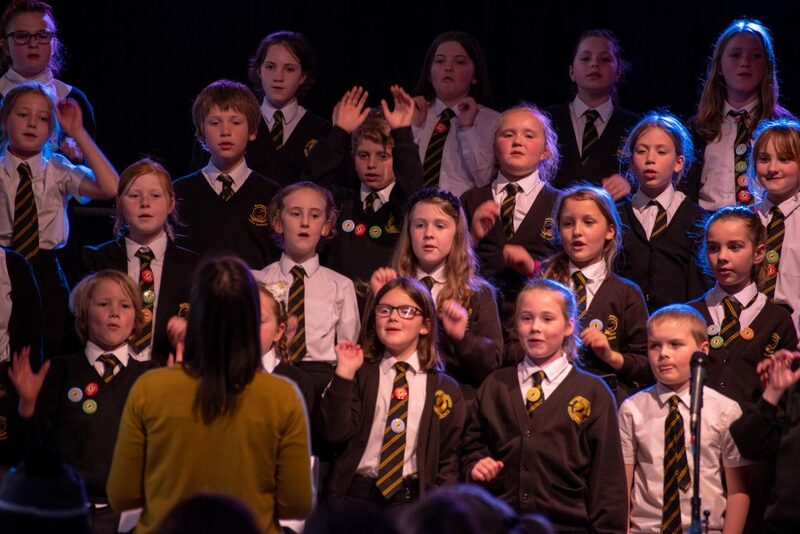 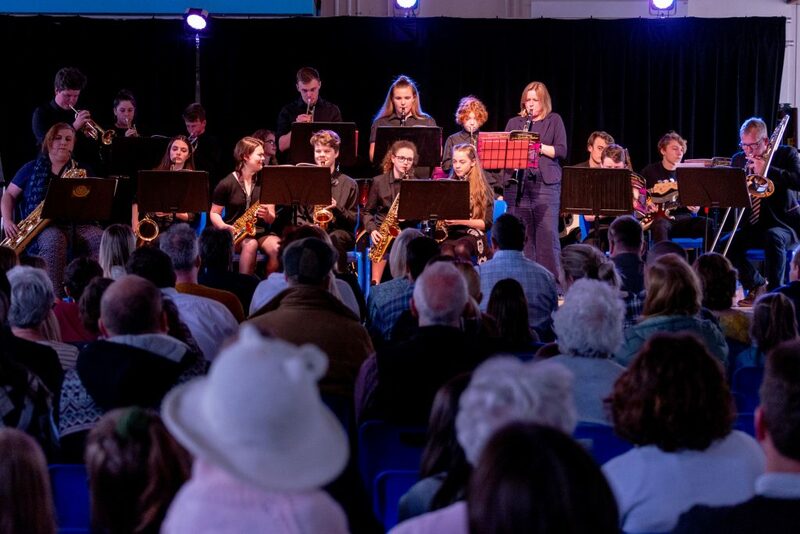 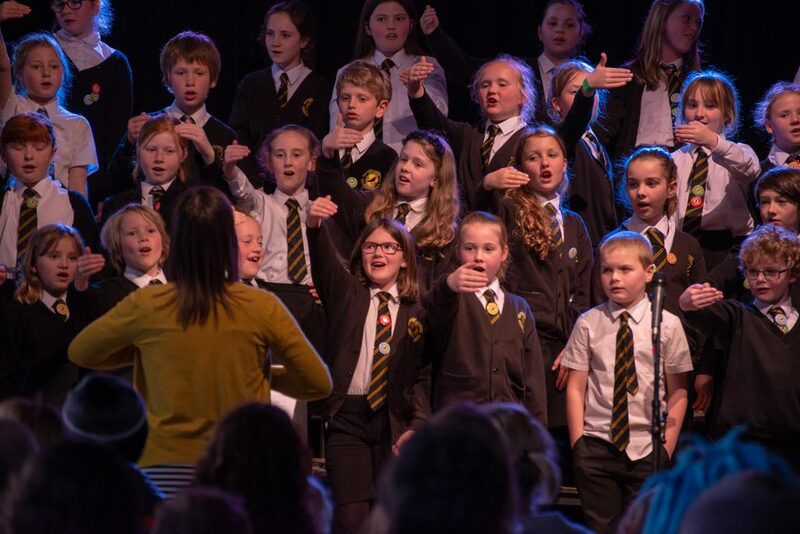 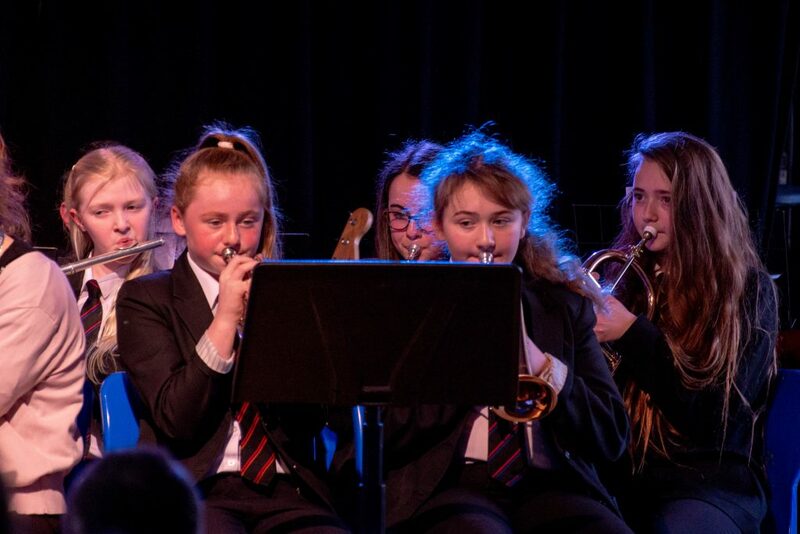 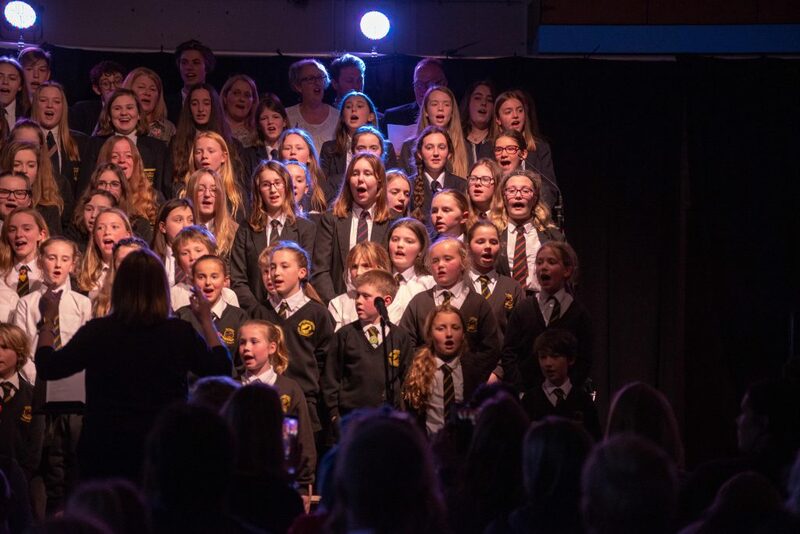 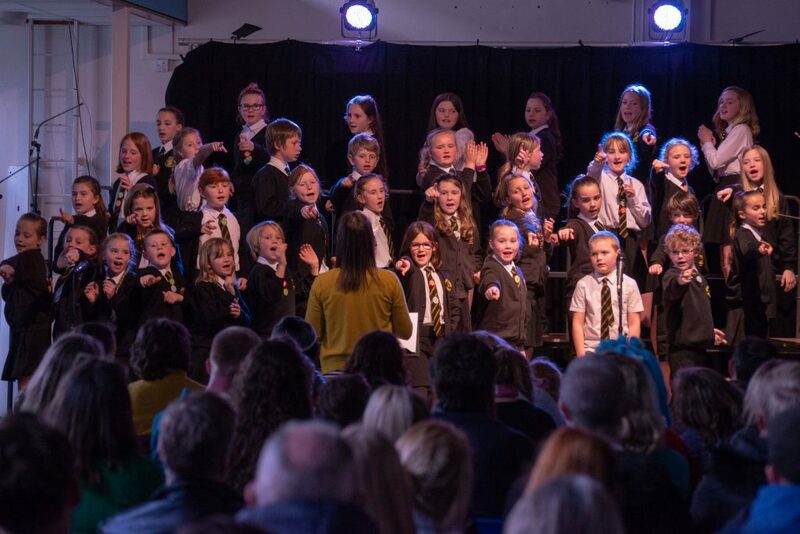 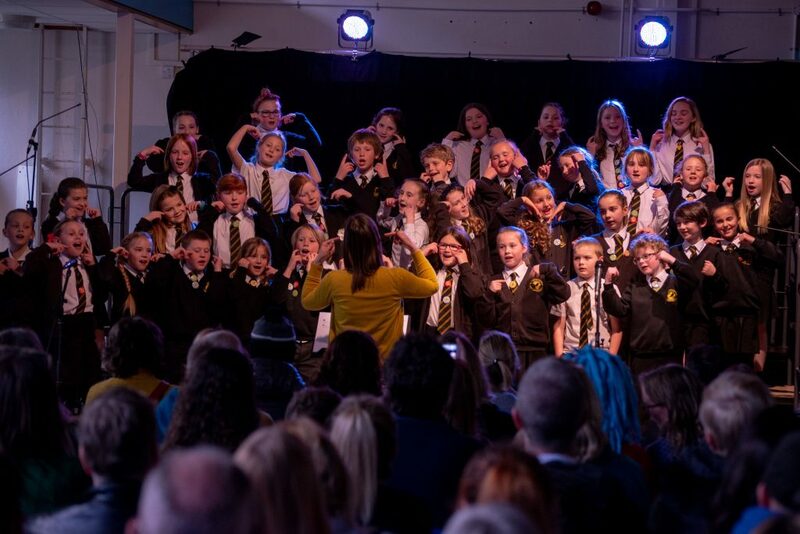 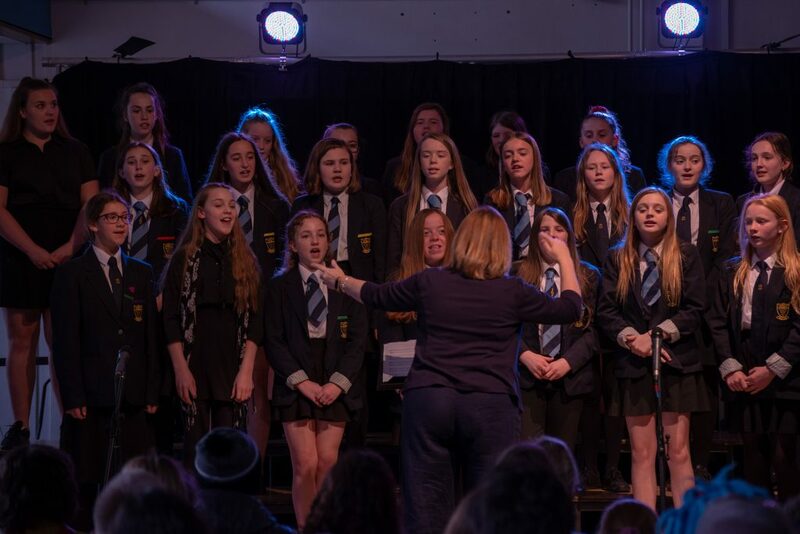 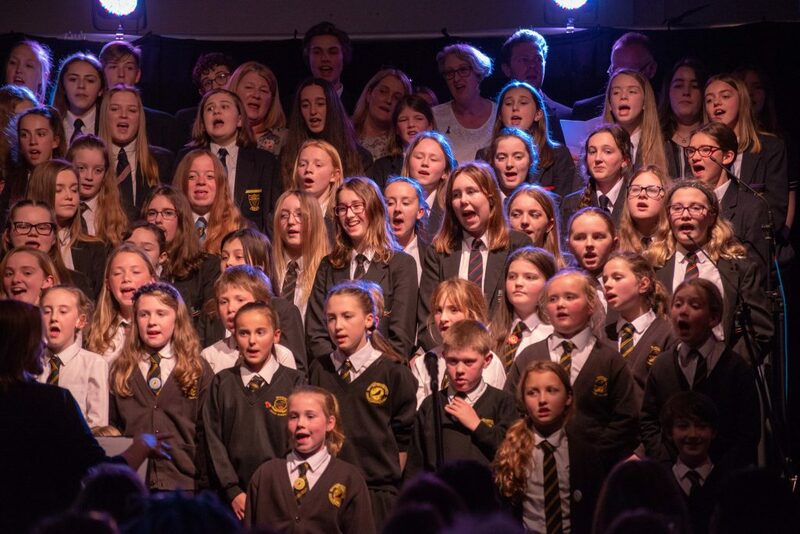 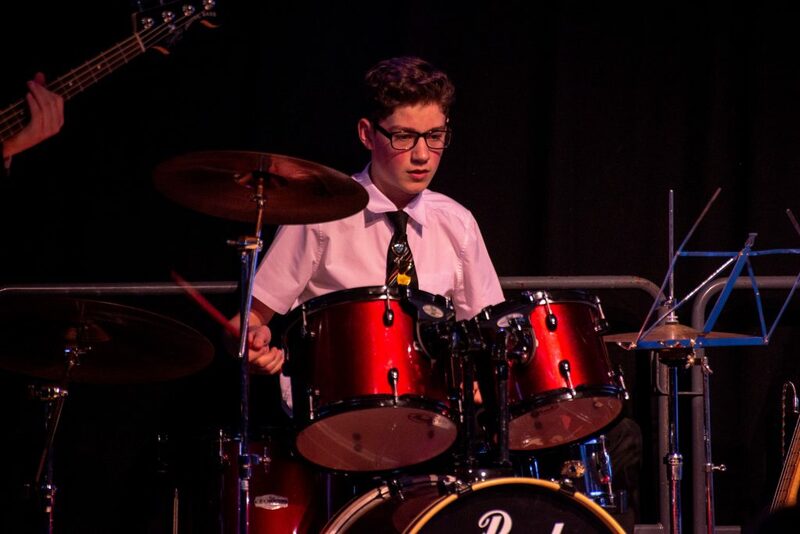 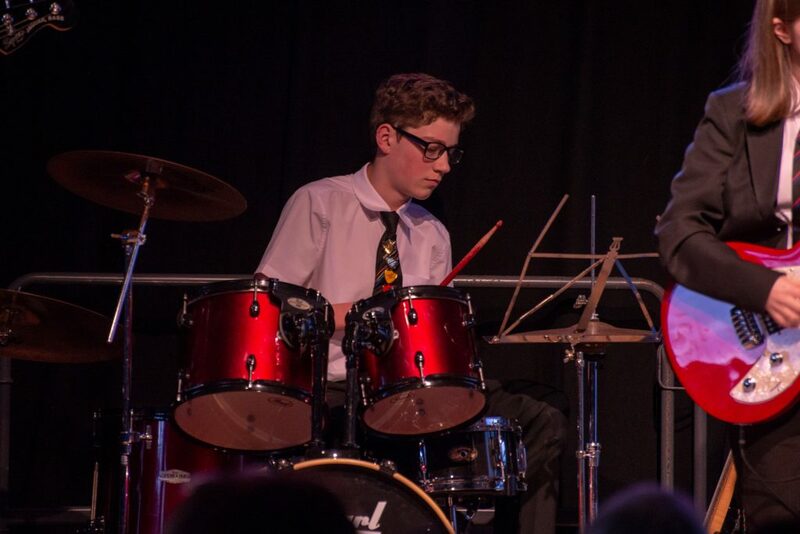 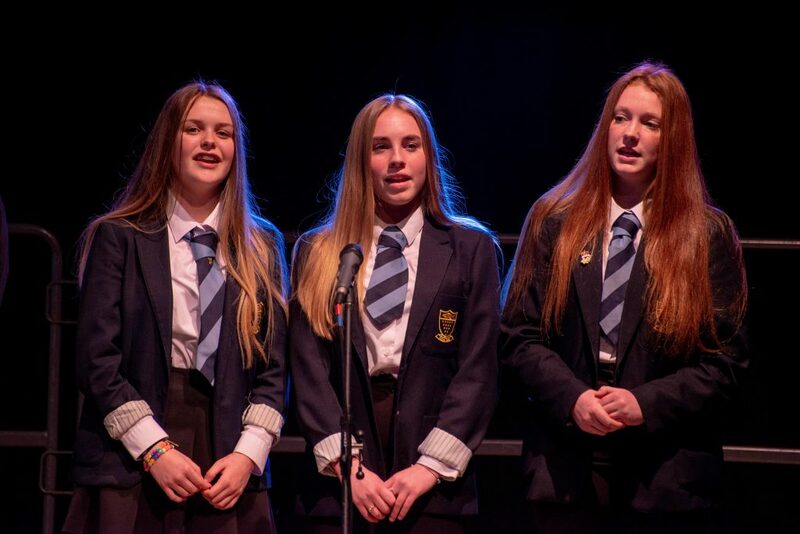 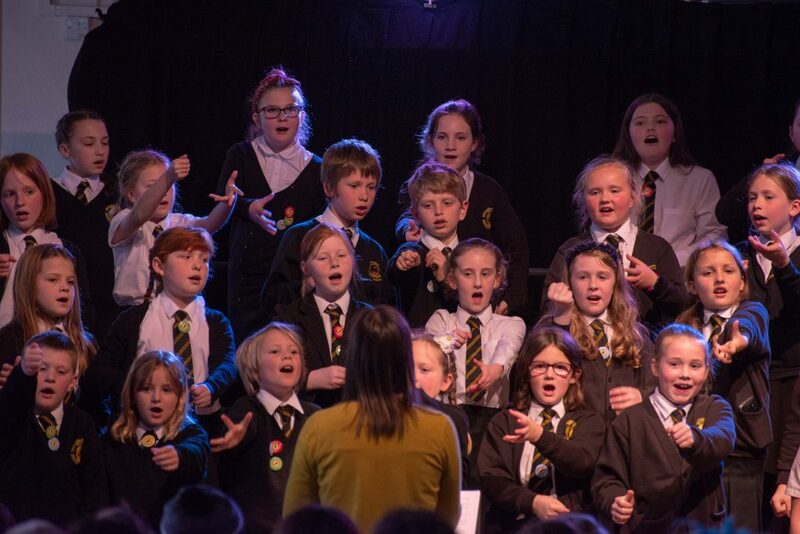 Newquay Tretherras, Brannel School and Newquay Junior Academy students hit the right notes for the Newquay Rotary Spring Concert, 2nd April 2019. 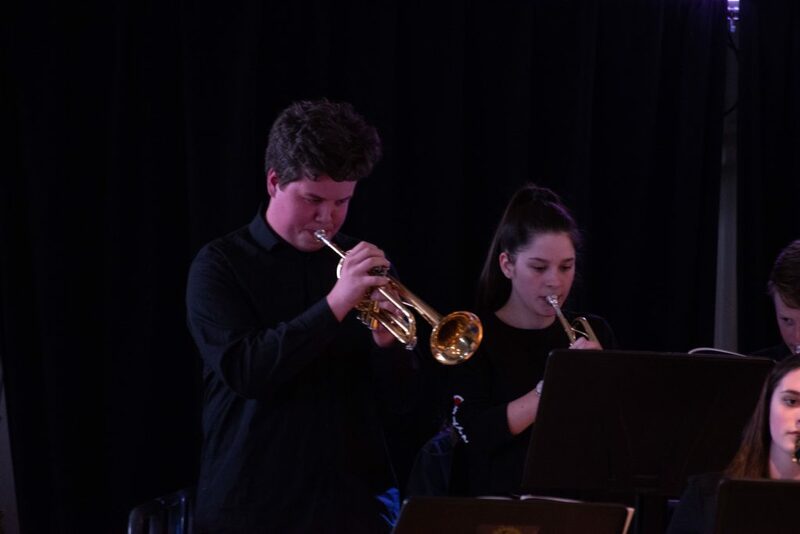 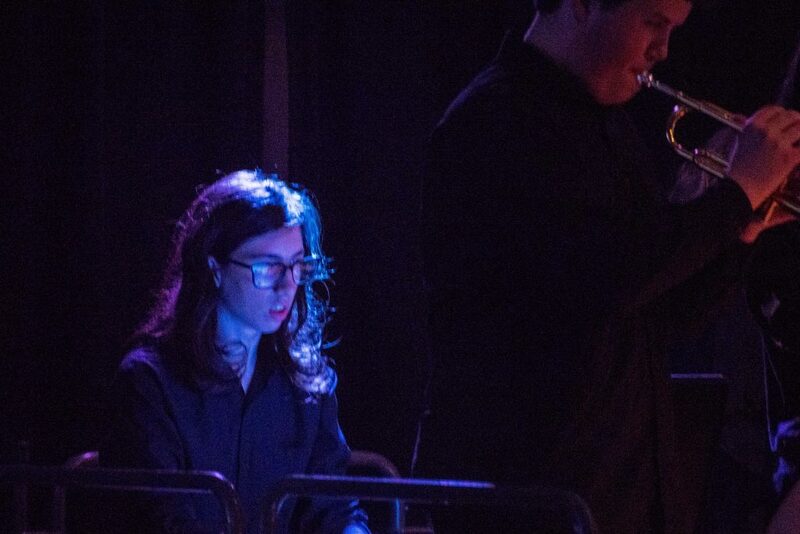 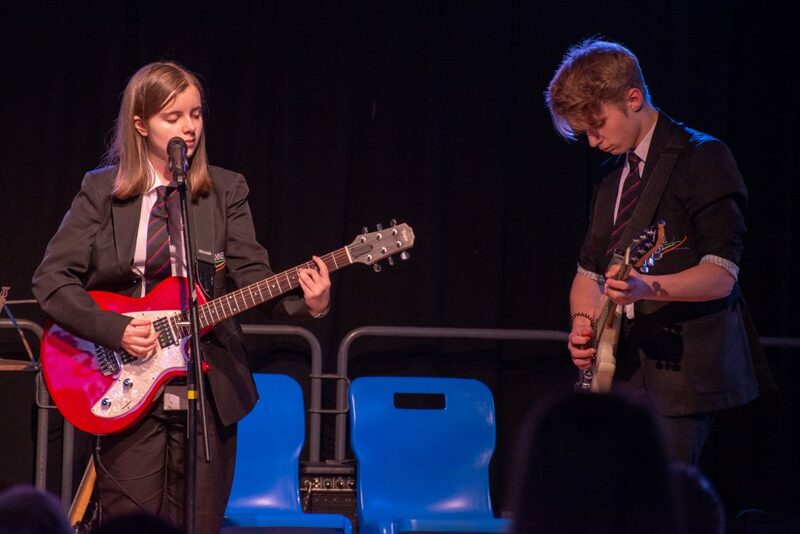 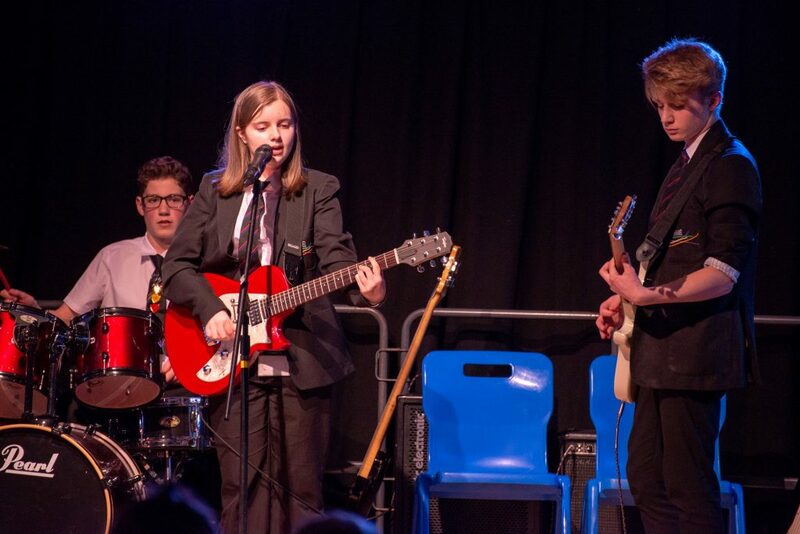 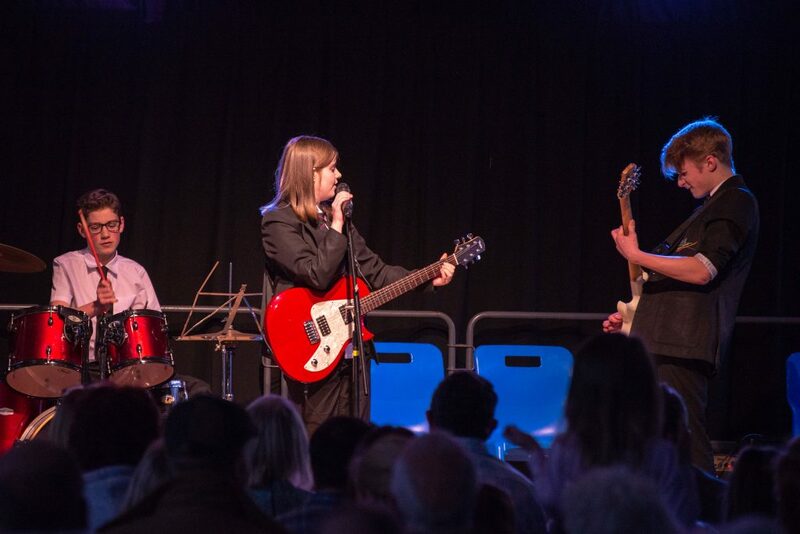 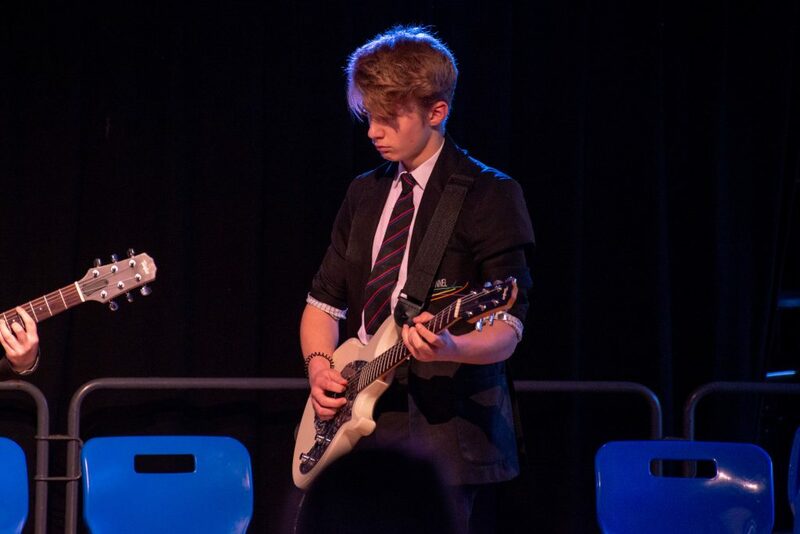 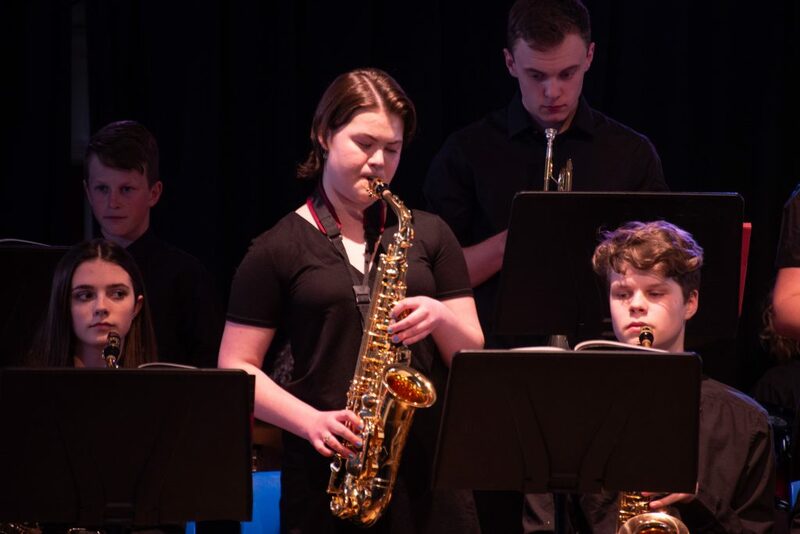 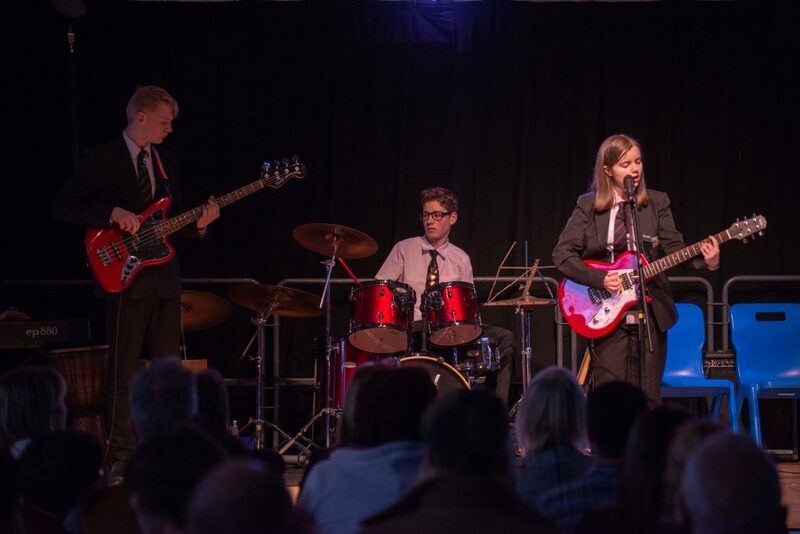 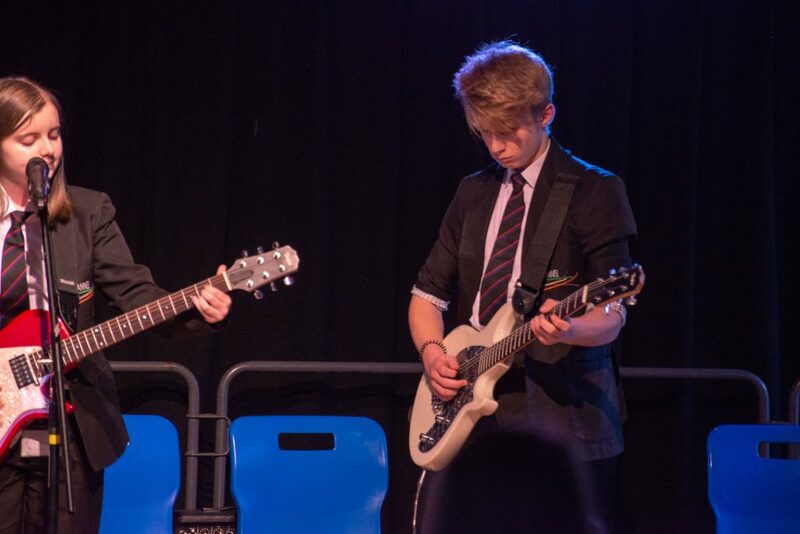 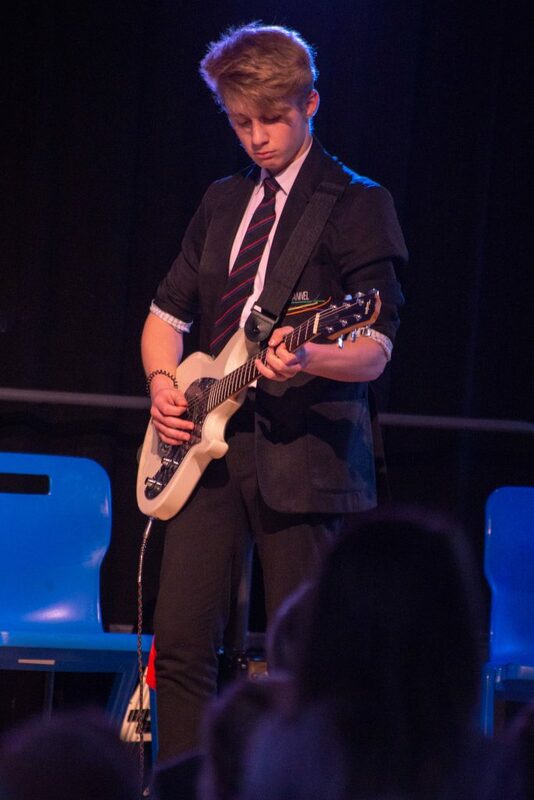 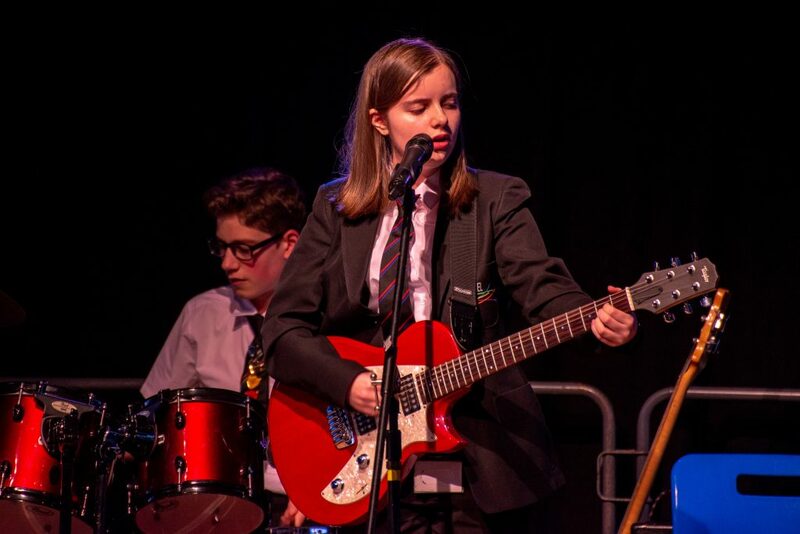 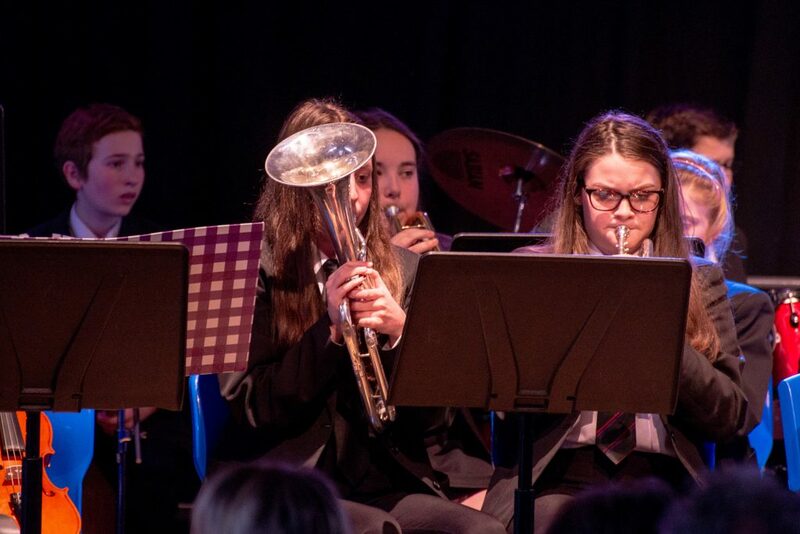 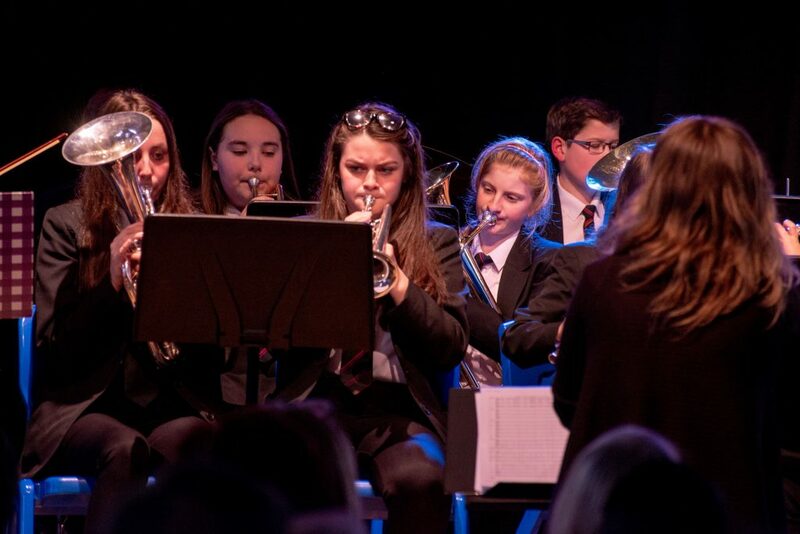 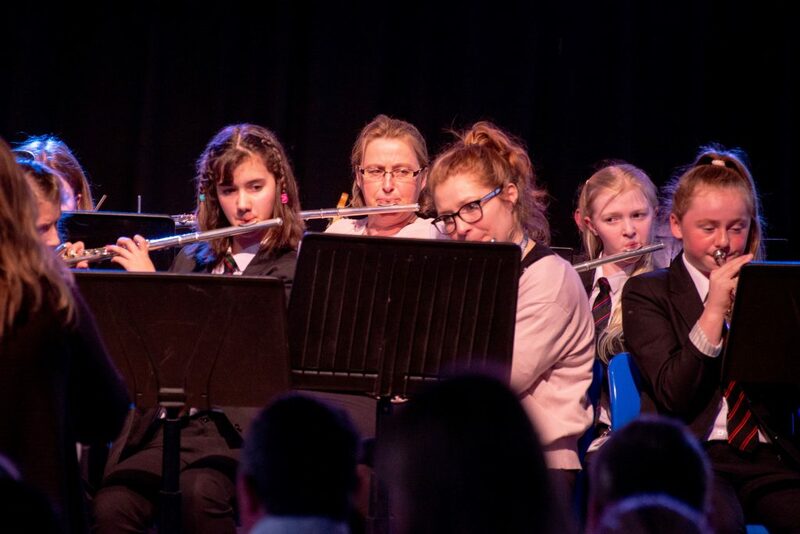 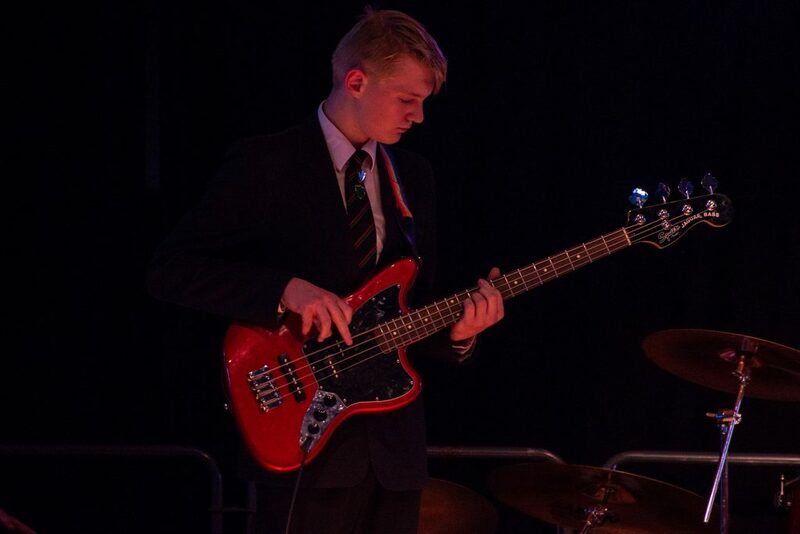 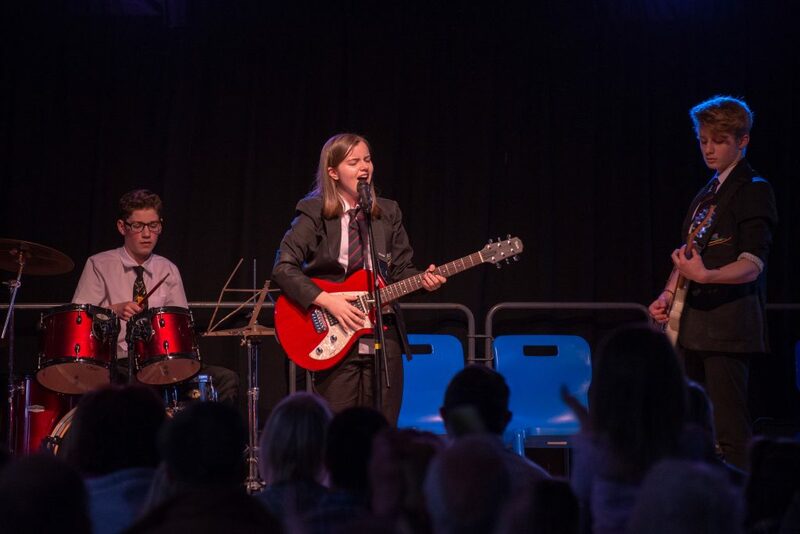 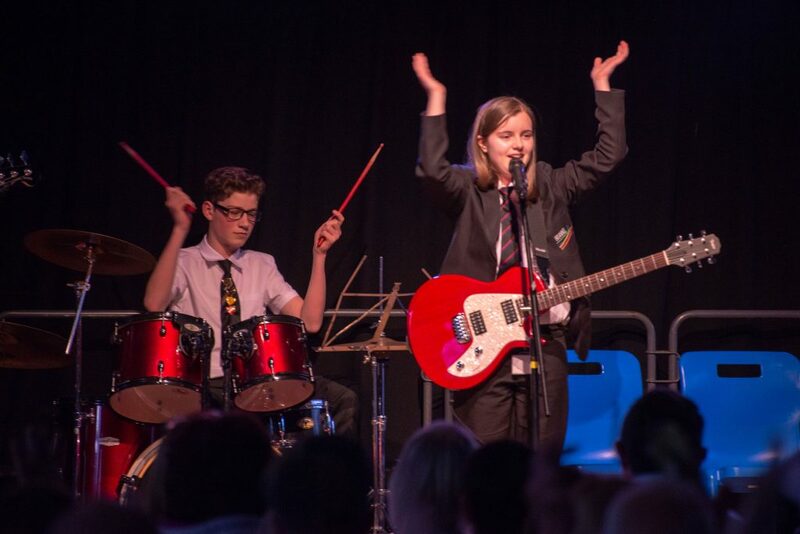 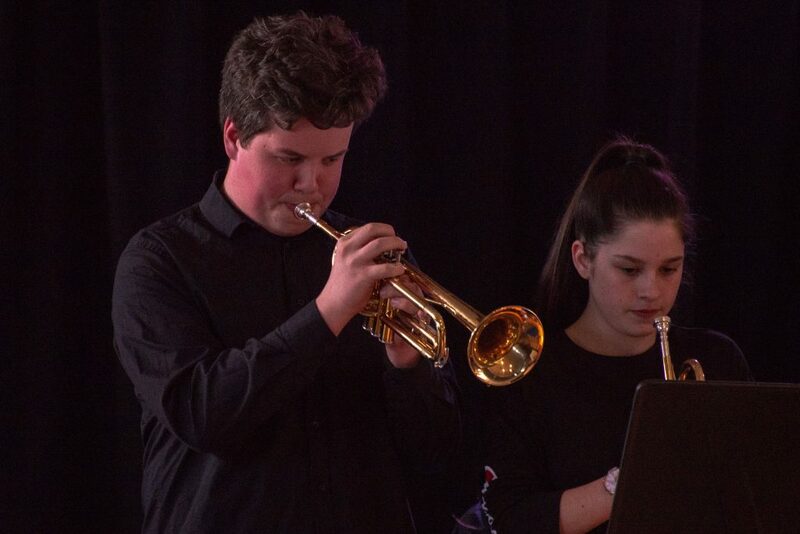 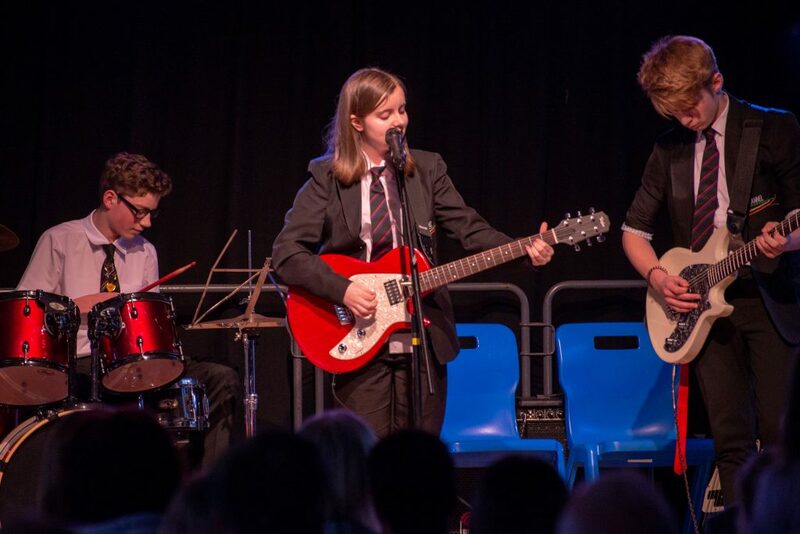 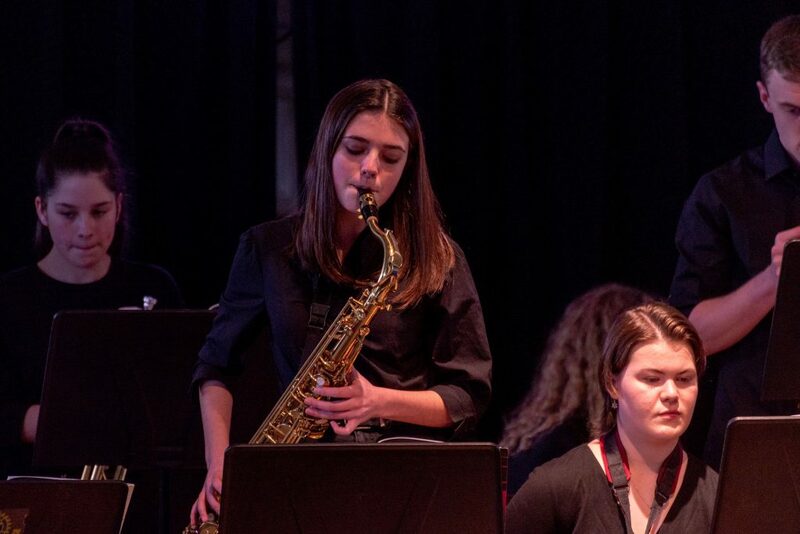 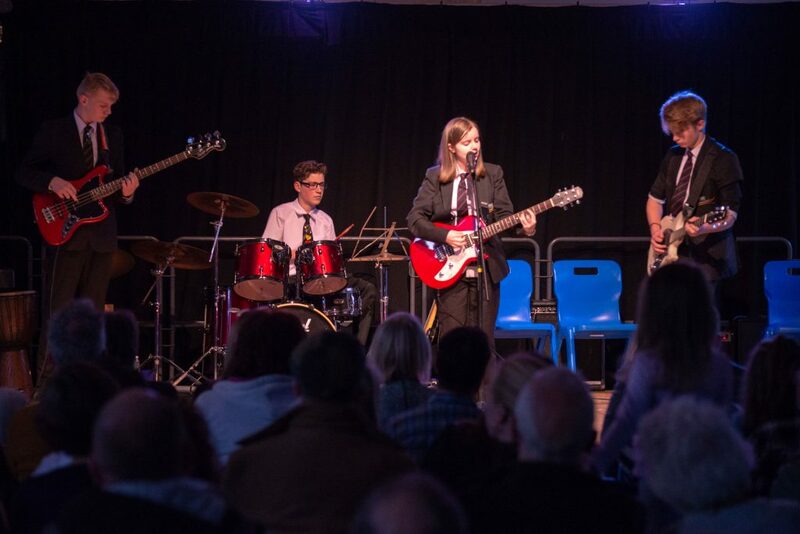 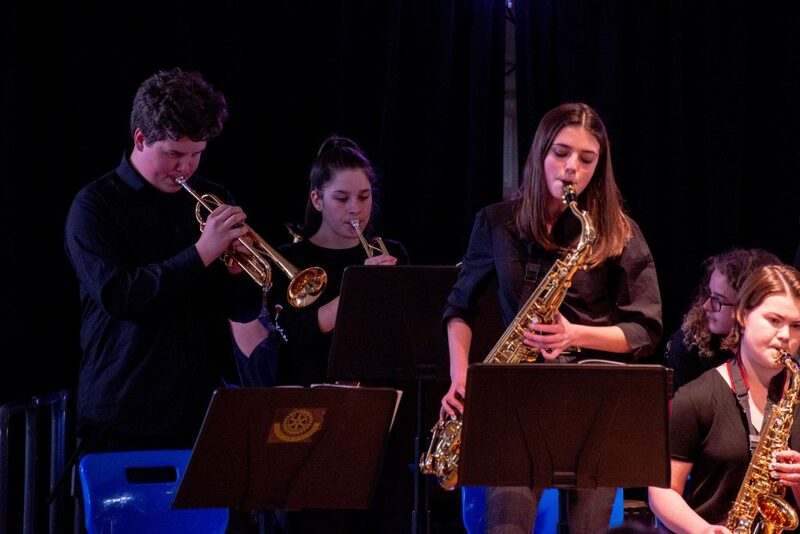 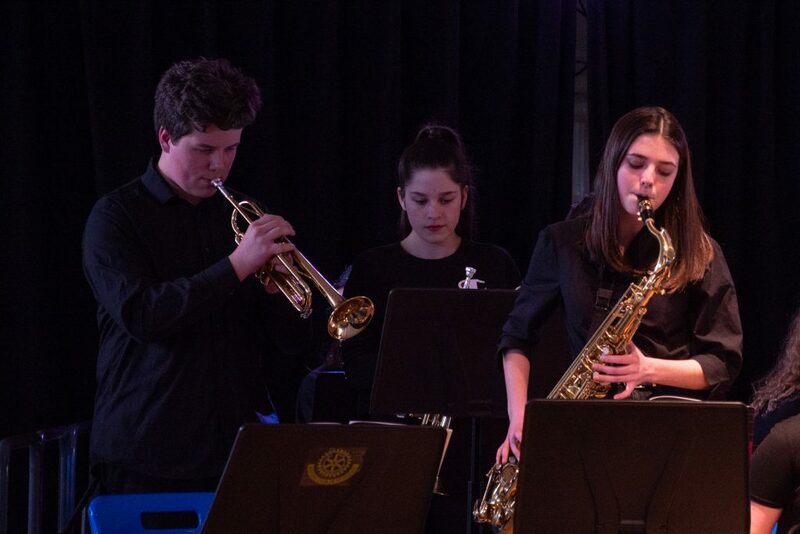 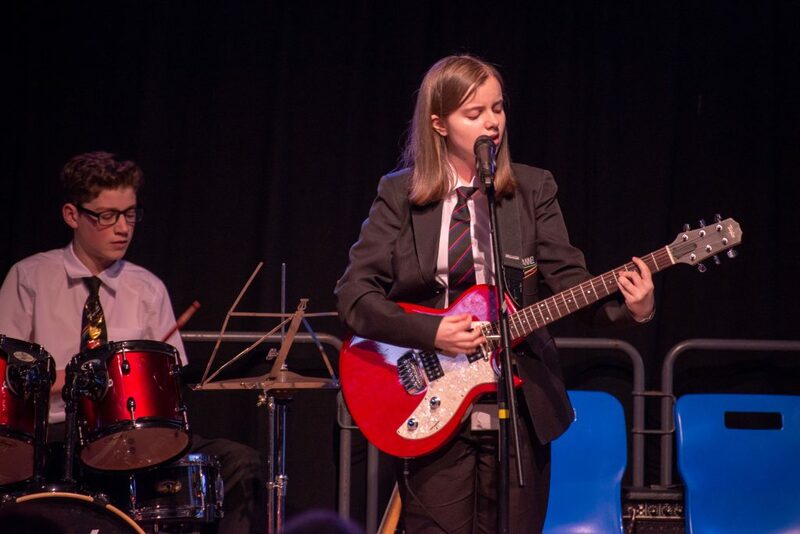 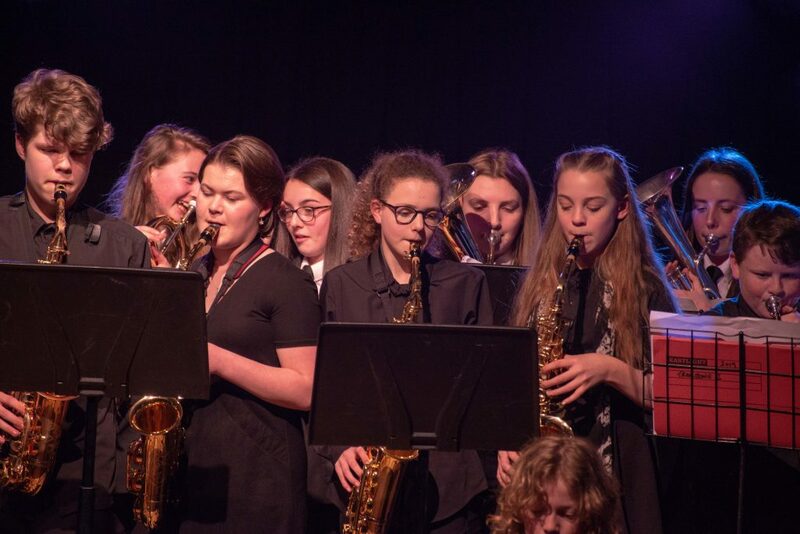 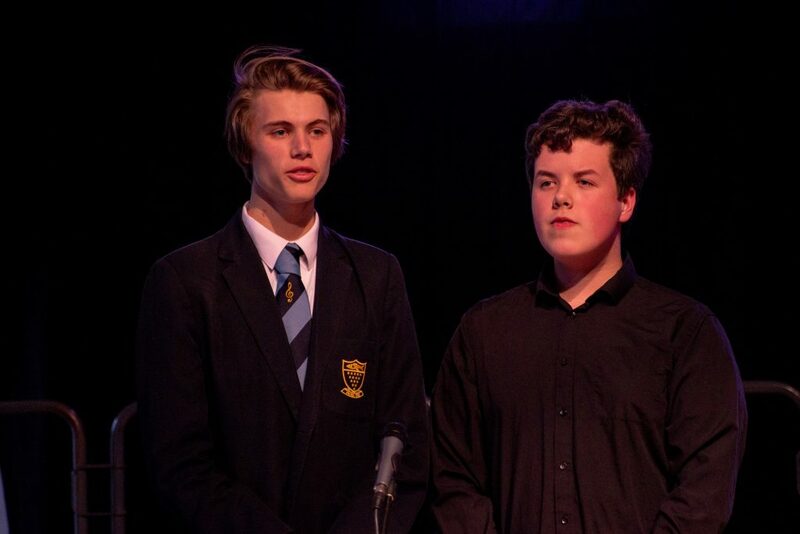 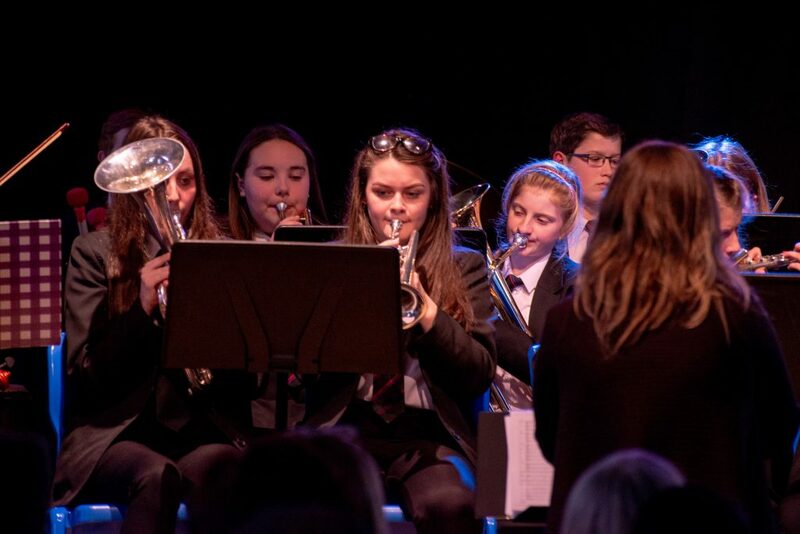 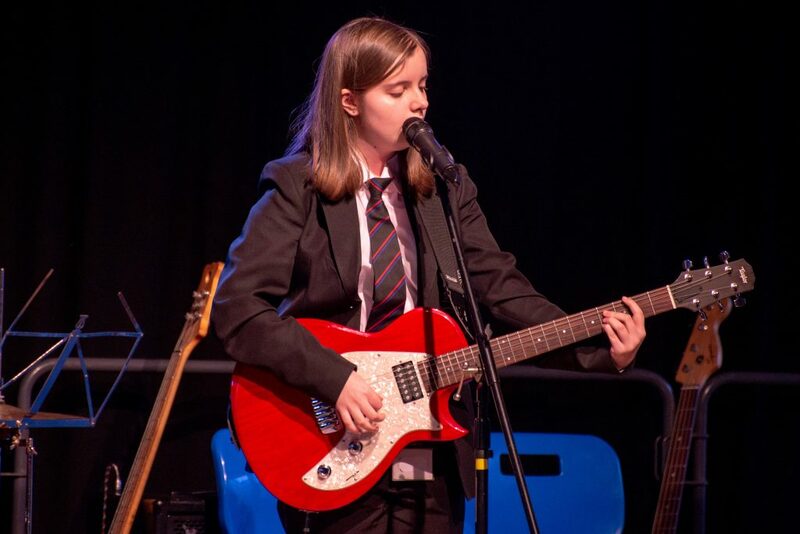 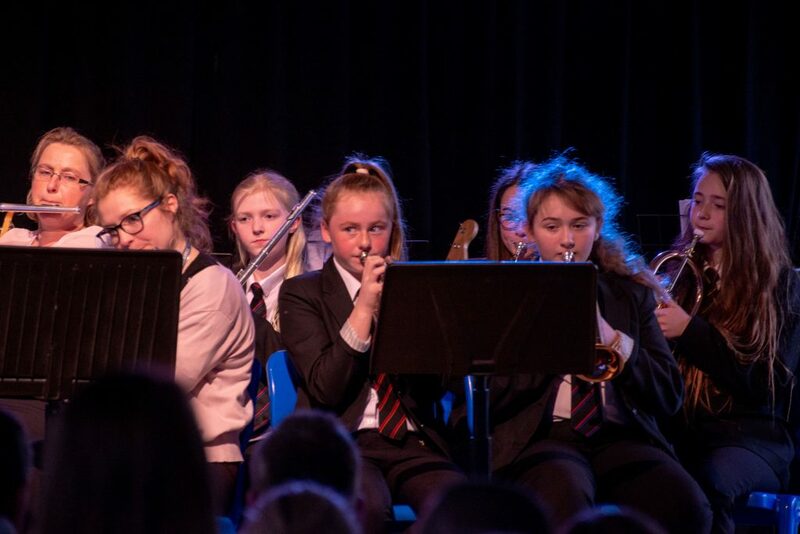 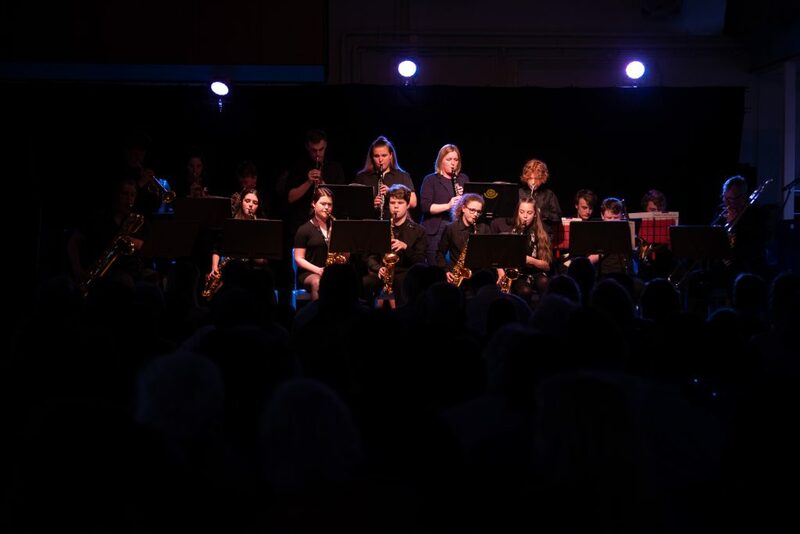 Over 150 students took part in the concert that showcased jazz bands, rock bands and choir ensembles. 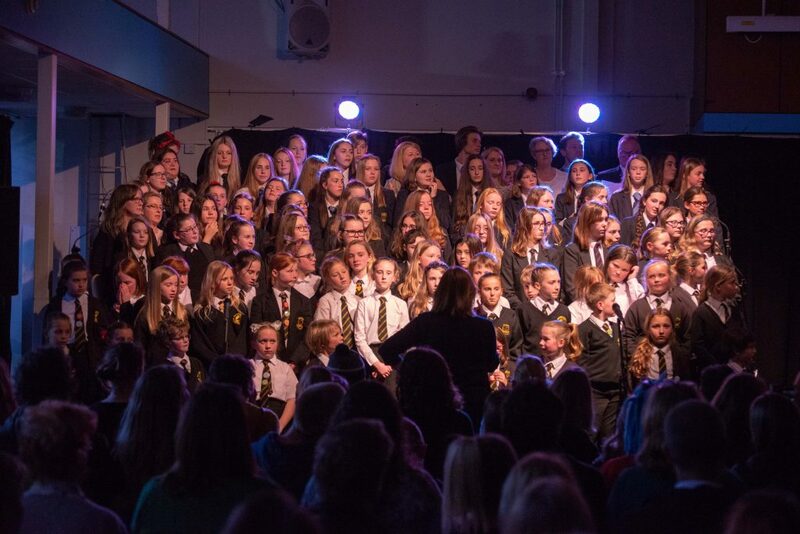 In front of a packed house, the secondary school students and primary pupils thrilled and entertained the audience. 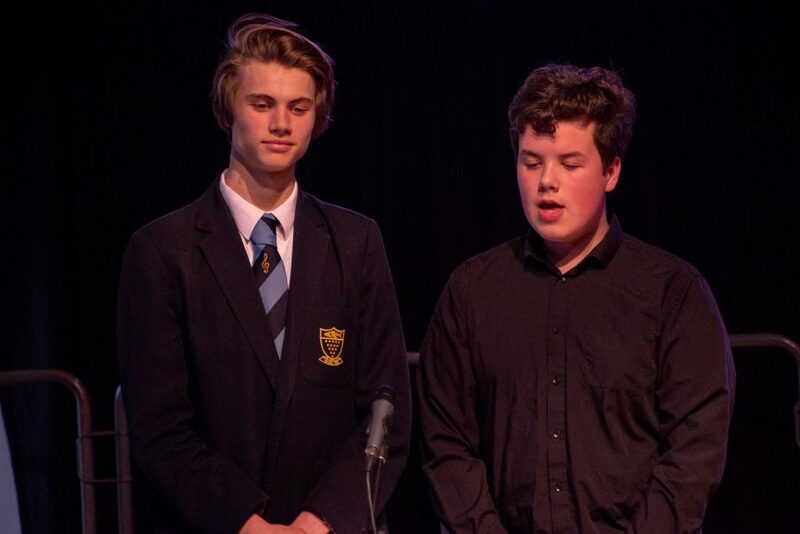 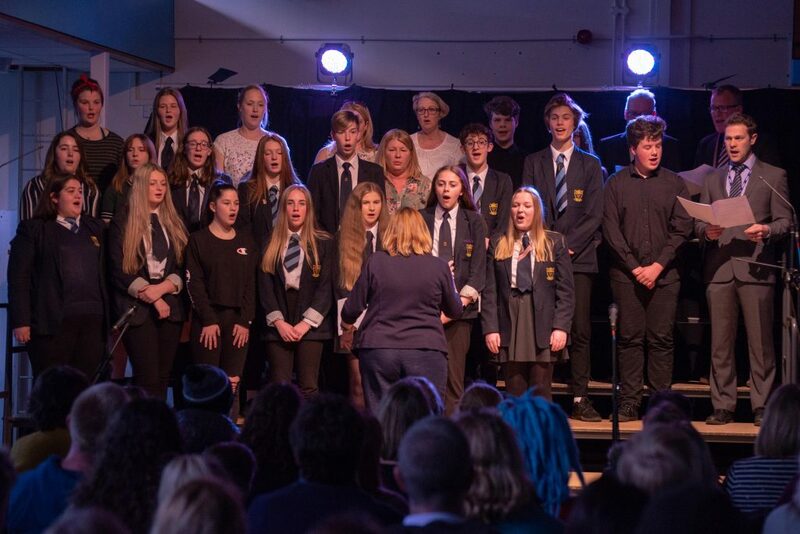 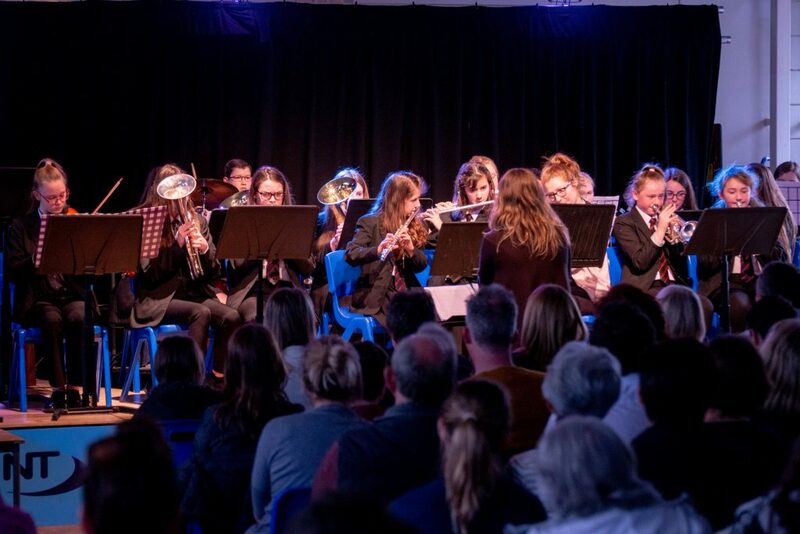 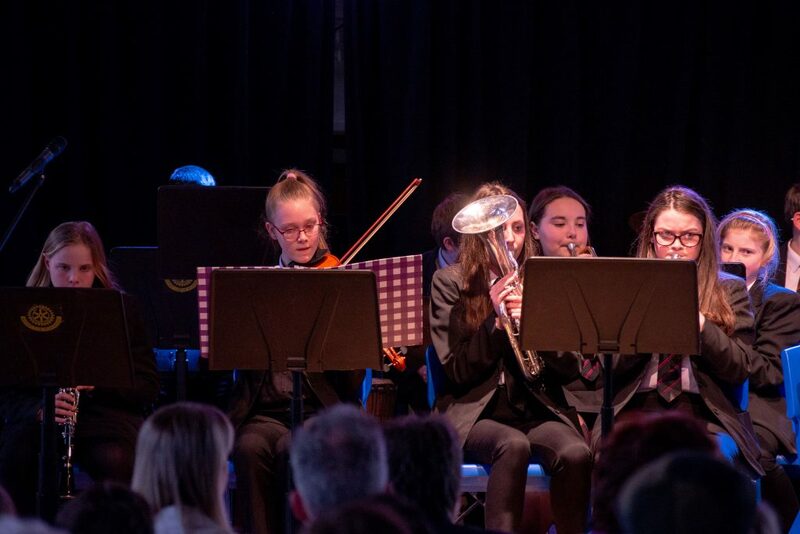 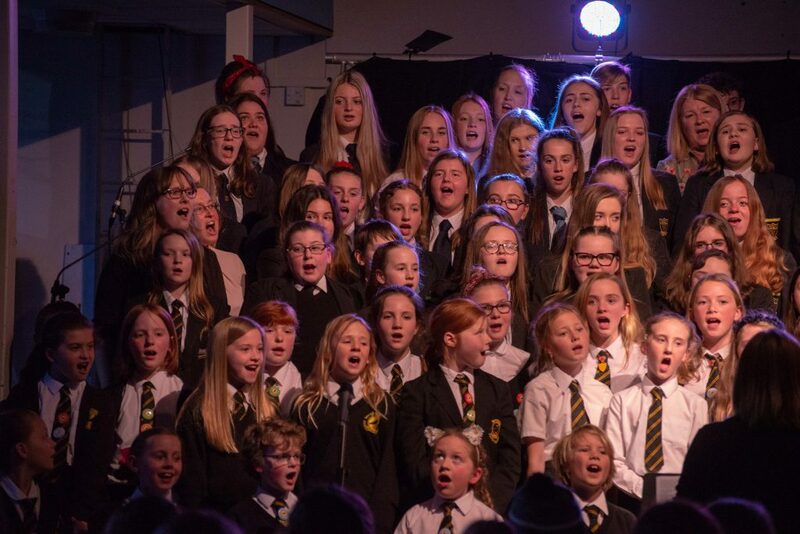 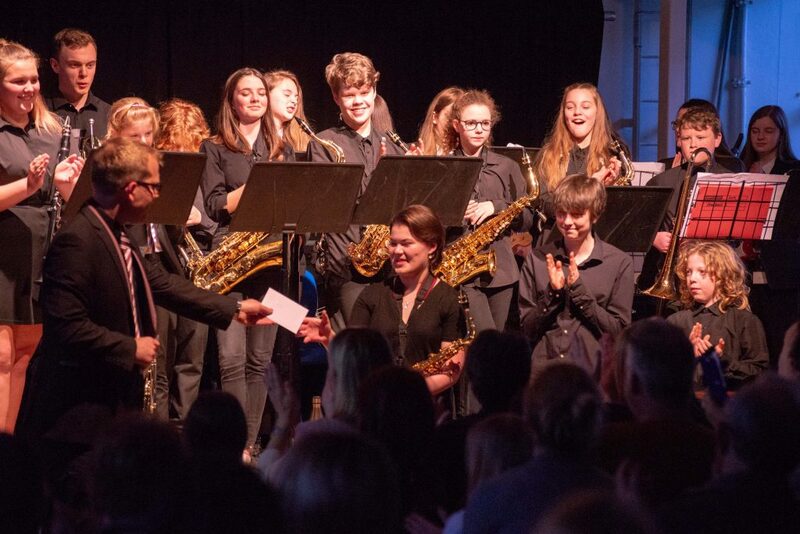 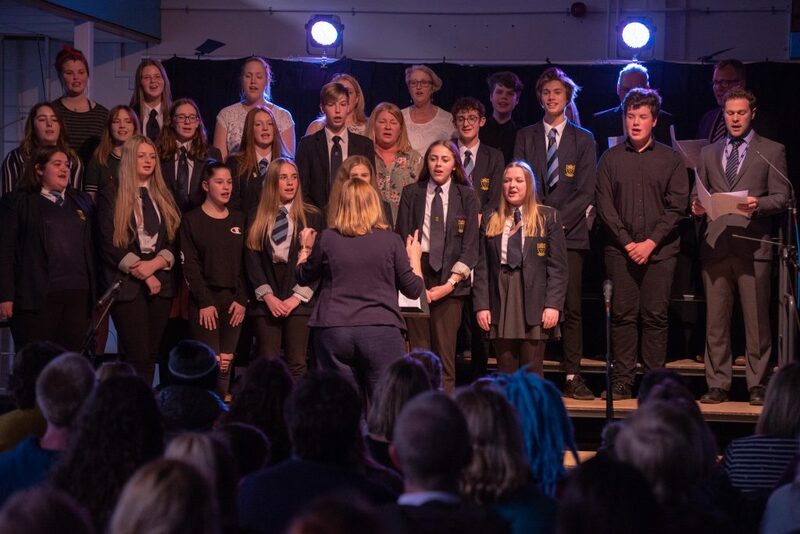 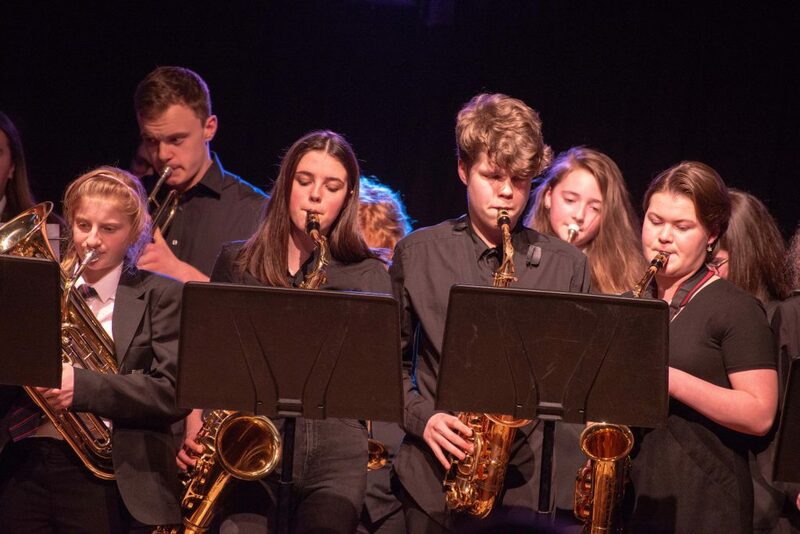 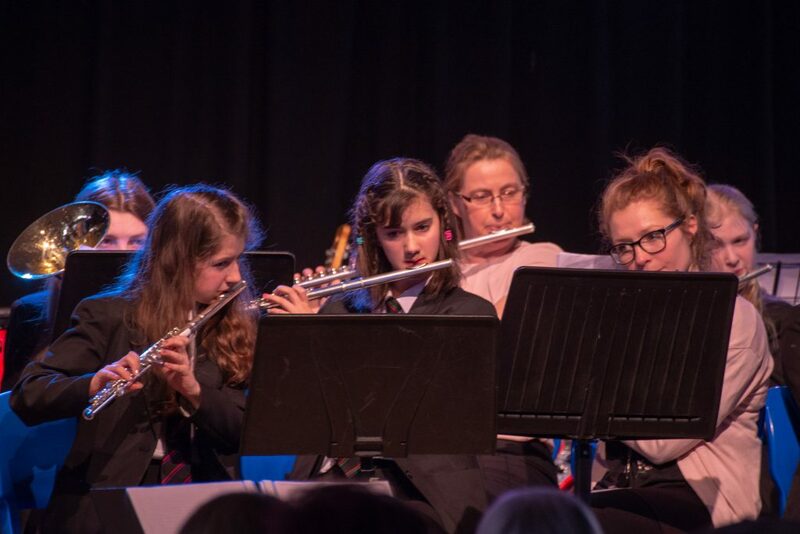 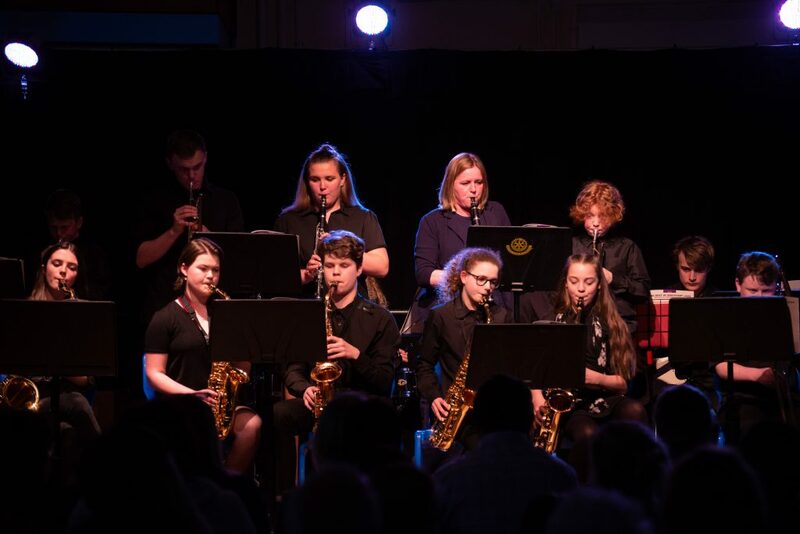 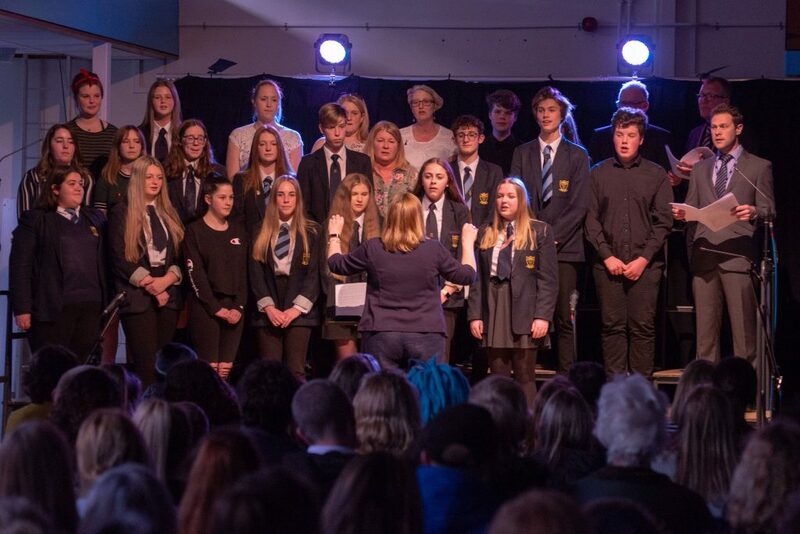 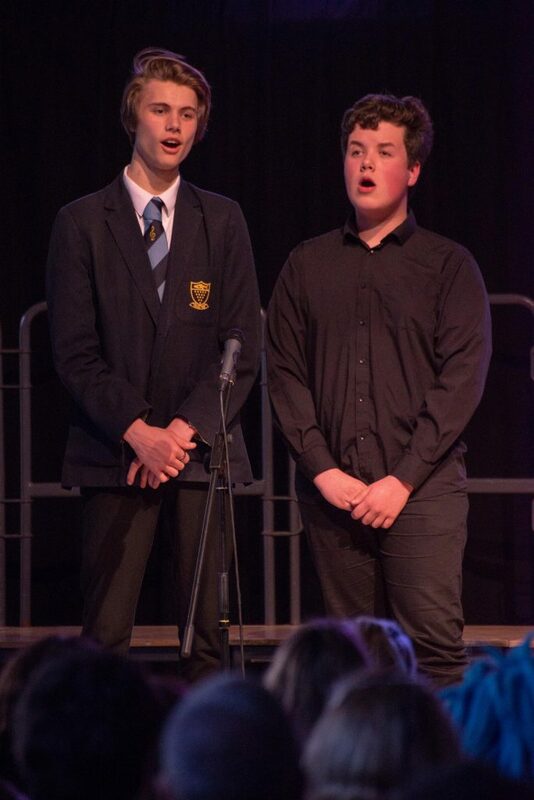 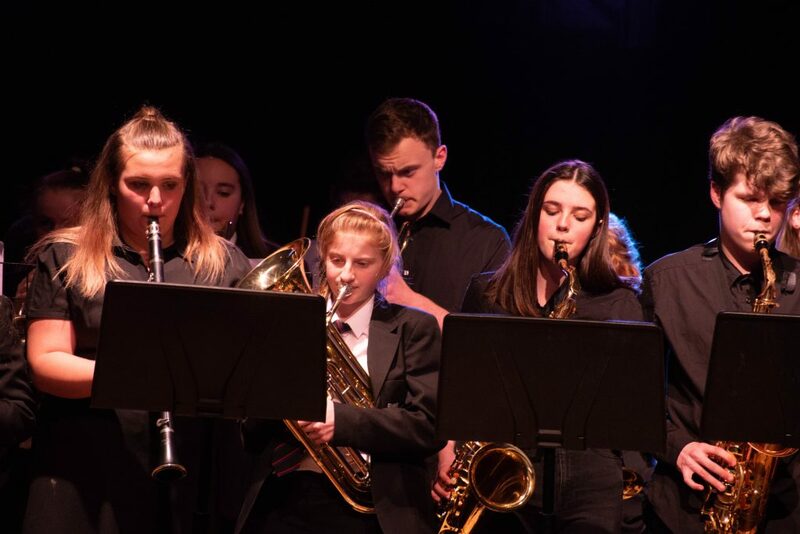 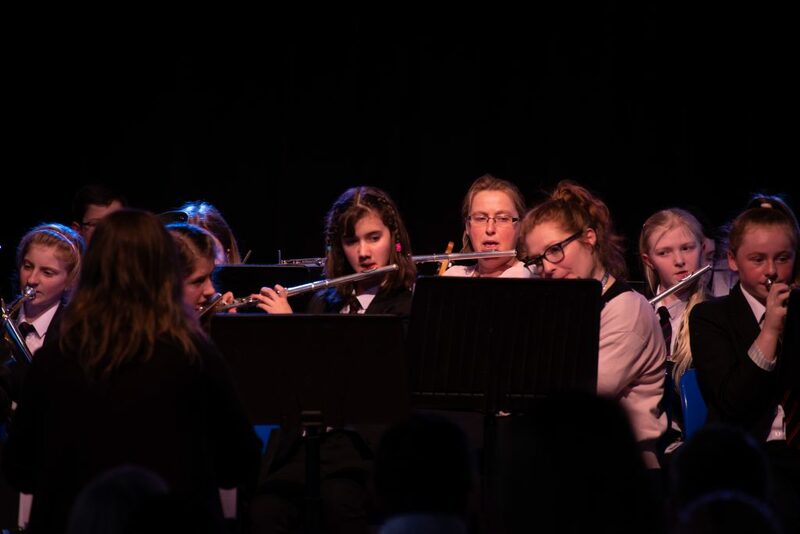 The fifth Annual Newquay Rotary schools’ concert served as a fundraising event for the three schools and the Shelter Box Charity, successfully raising over £800. 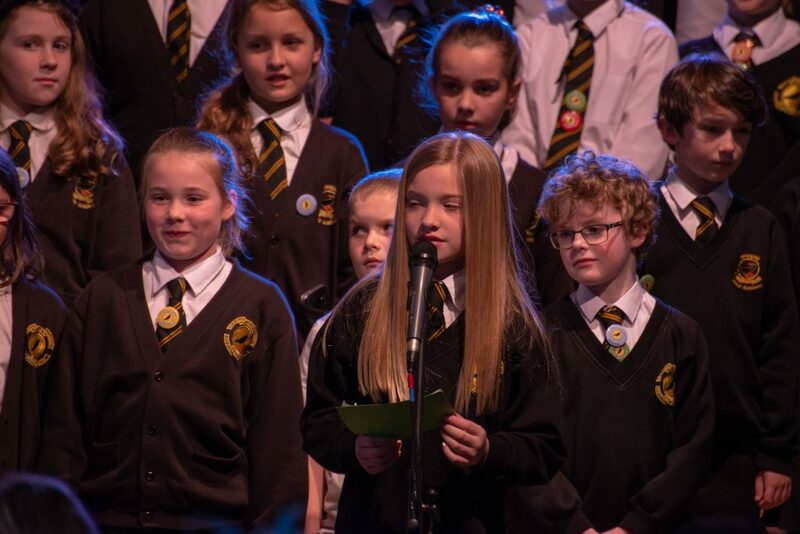 Prizes in the raffle included, Sunday dinner for 4 at Hotel Bristol and a New Apple iPad. 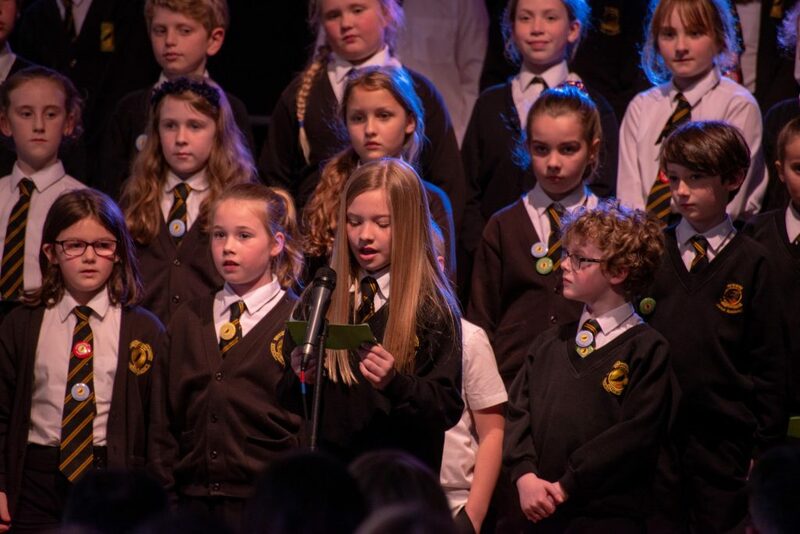 The monies raised are to be shared out between the Shelter Box Charity and the three schools. 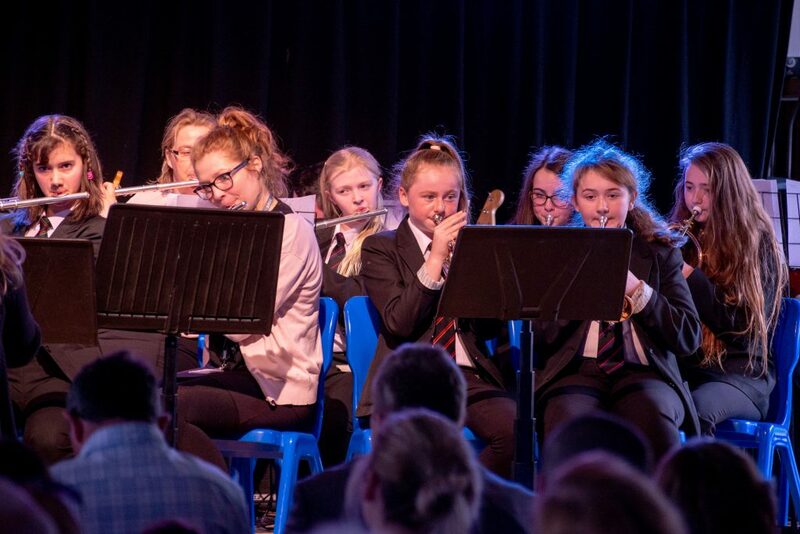 Half of the money will help to send a shelter box to the area devastated by cyclone Idai (Mozambique,Malawi and Zimbabwe). 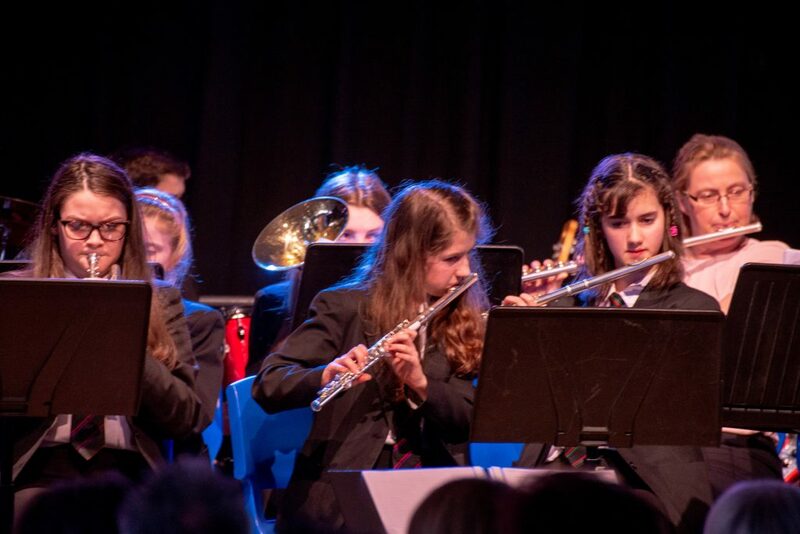 The remaining proceeds will be shared by the three participating academies to support the development of music. 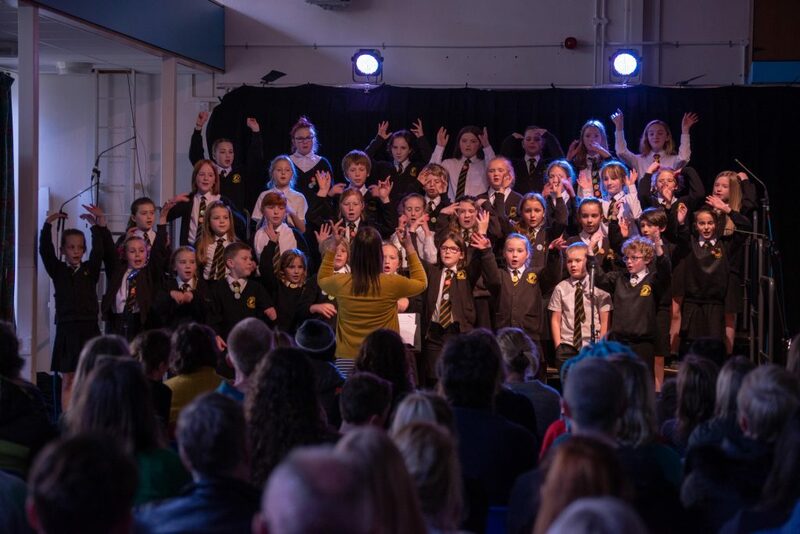 Newquay Rotary would like to thank the staff of the NET schools for the energy and enthusiasm that they put into this project. 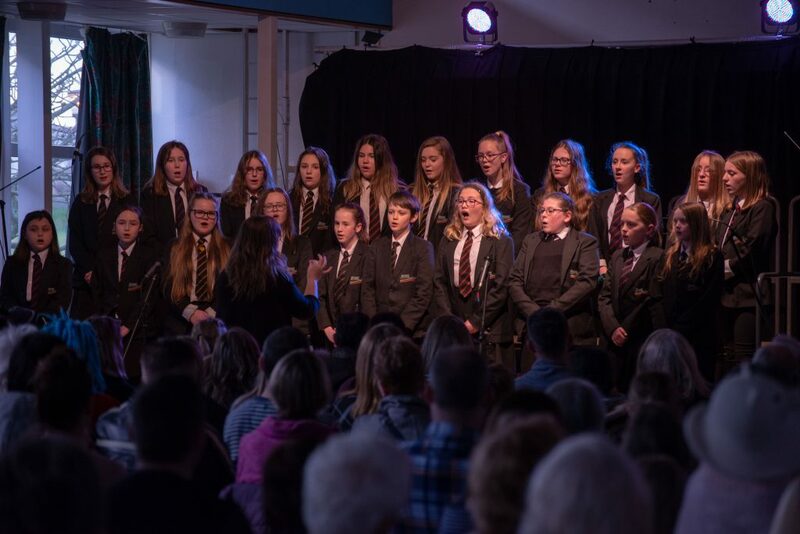 It was clear that the students were thrilled at being given this opportunity to perform in front of such a large audience. 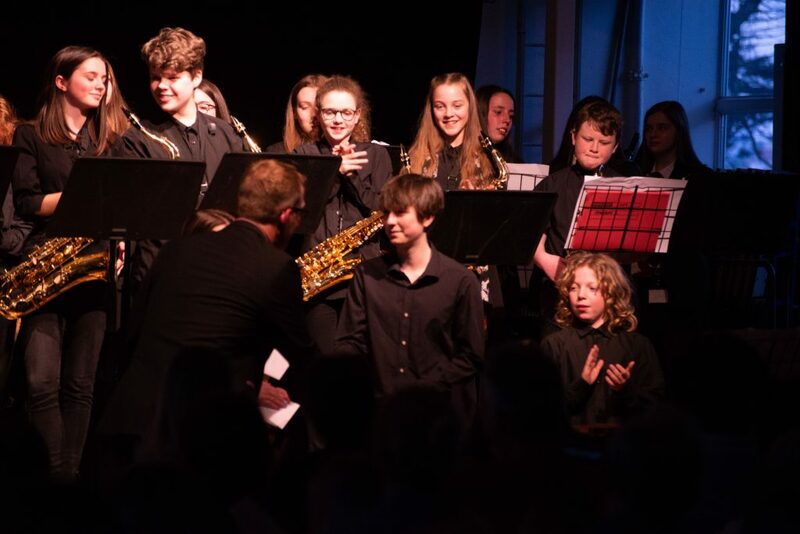 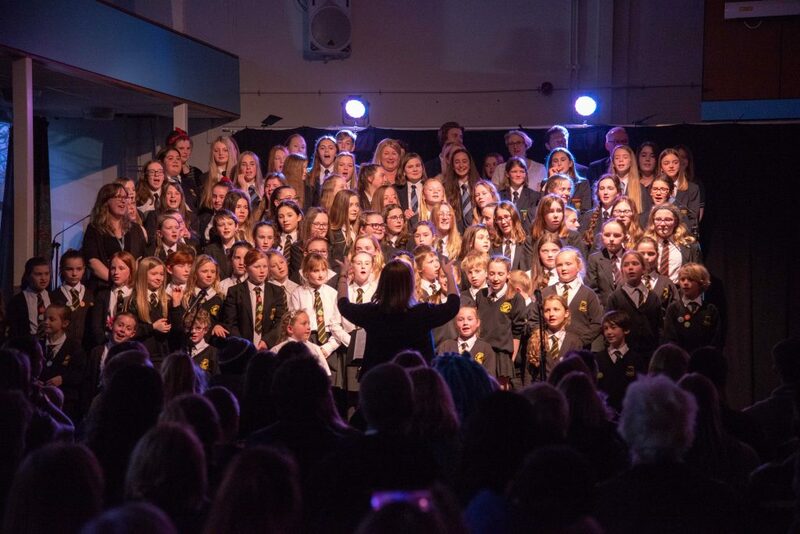 The concert finished with an uplifting and upbeat rendition of ‘Shine’ by Gary Barlow, performed by a mass choir and band ensemble made up from all three schools.